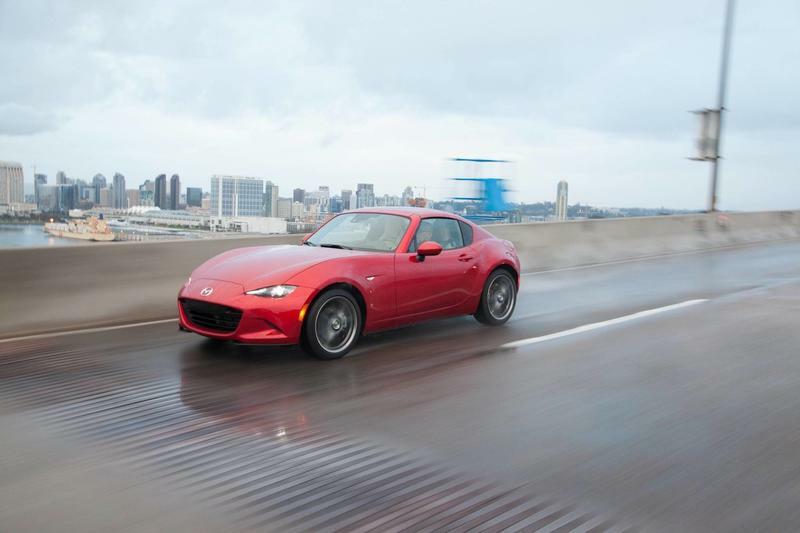 When Mazda asked if I wanted to drive its newest Miata, I had a good laugh. After seeing it at the automaker's Irvine headquarters, I couldn't jump at the opportunity fast enough. 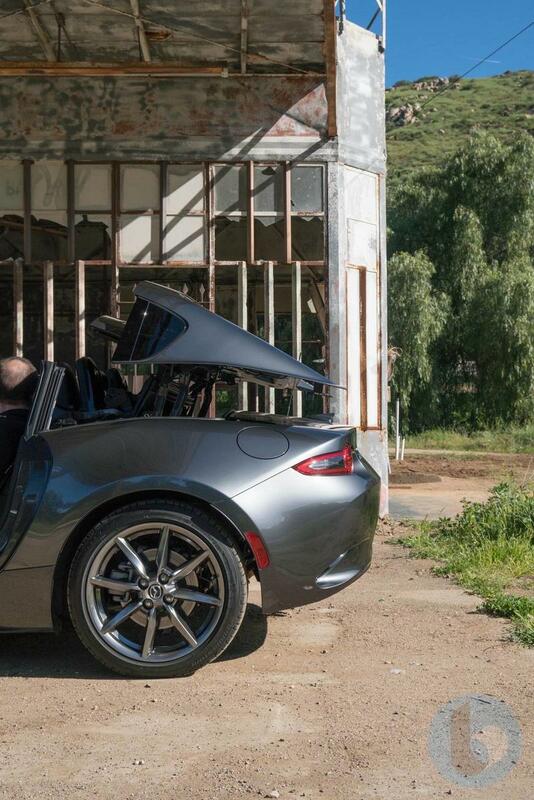 Add in the fact that we'd be down in sunny San Diego, the decision was a no-brainer. 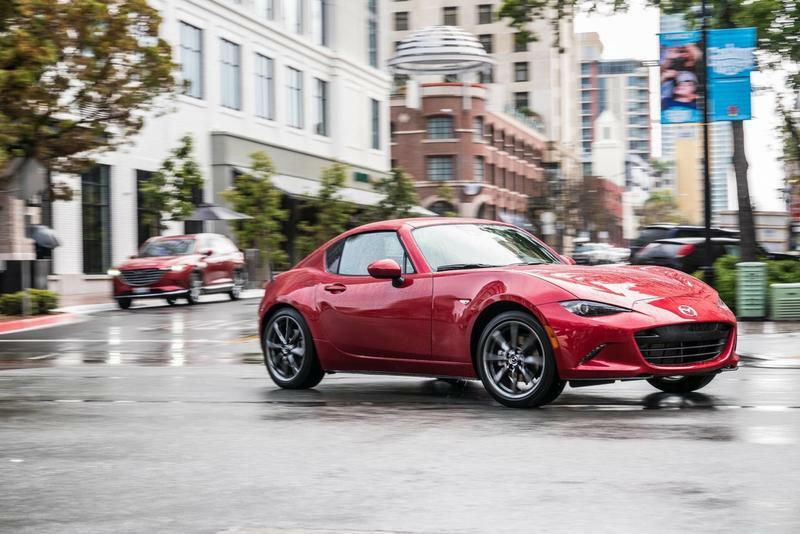 Lucky I did, because the 2017 Mazda MX-5 RF is a thrill to drive. 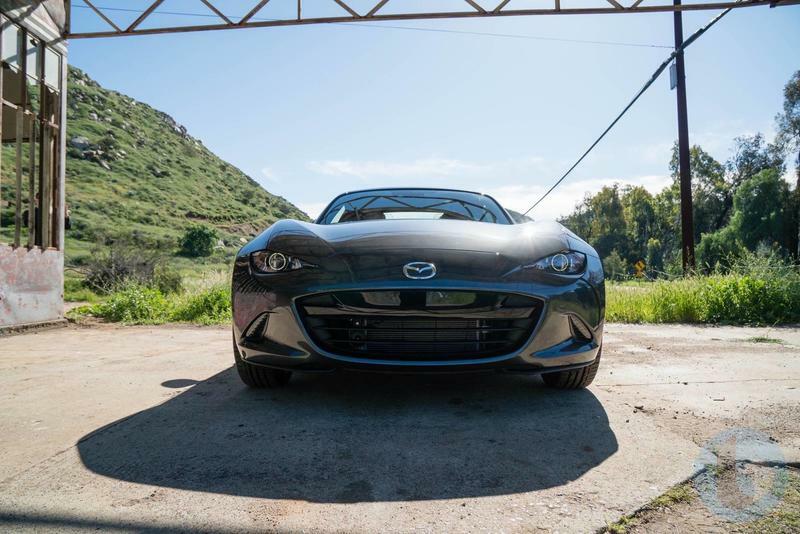 I took it for a spin over 80 miles of rolling, winding California backroads, and for a second it felt like I could fly. 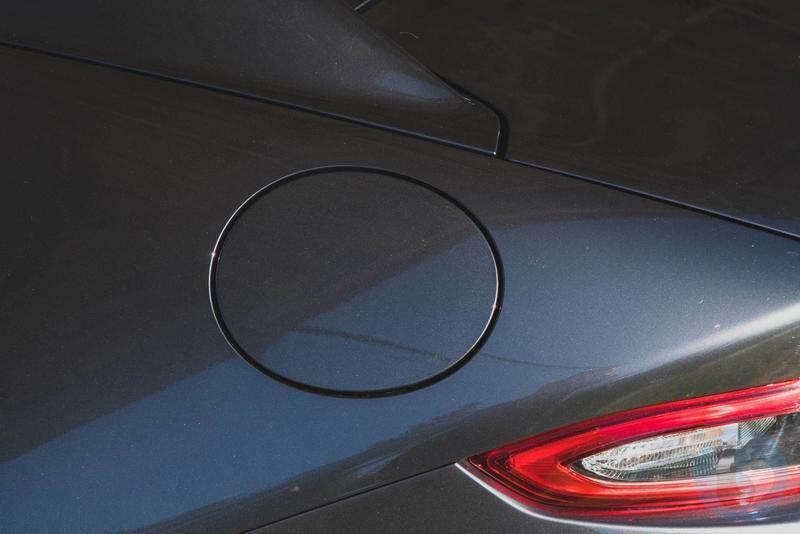 It was almost an out of body experience. 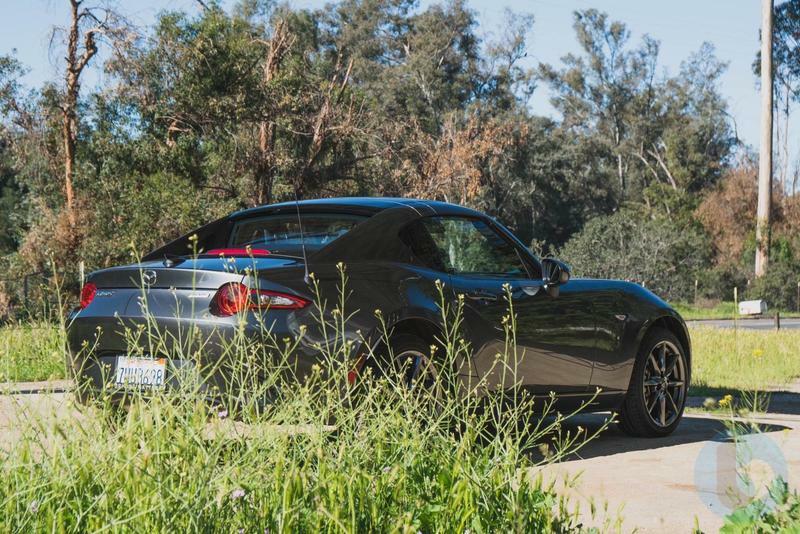 Having become a sheep in Southern California's infamous traffic, driving for me can often feel soul-sucking. 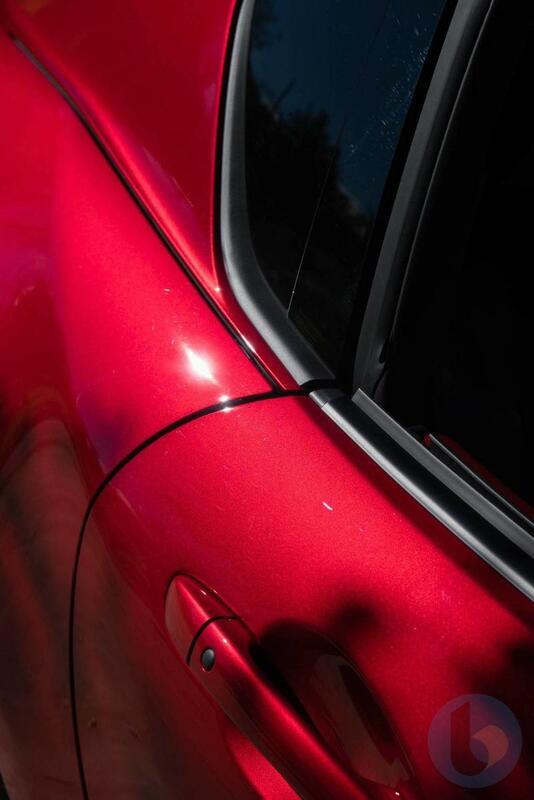 It's something I try to avoid at all costs. 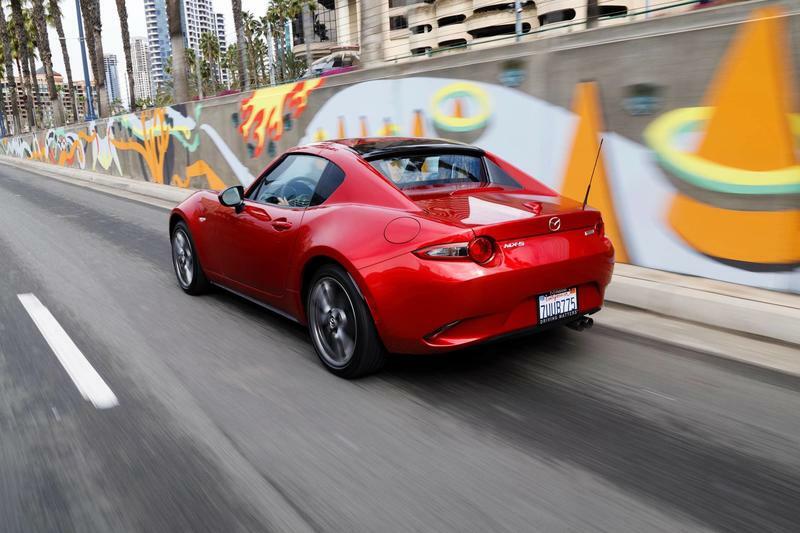 But the Miata reminded me why getting behind the wheel is such a privilege. 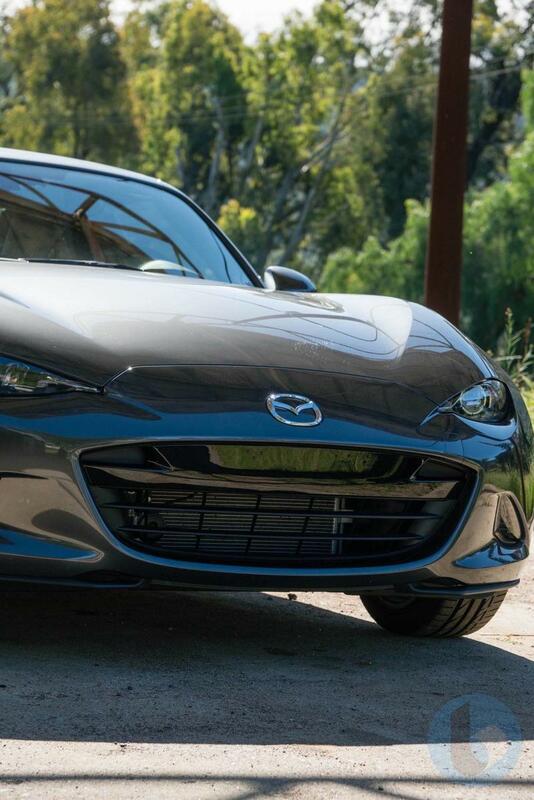 After driving the MX-5 RF, I "get" it. 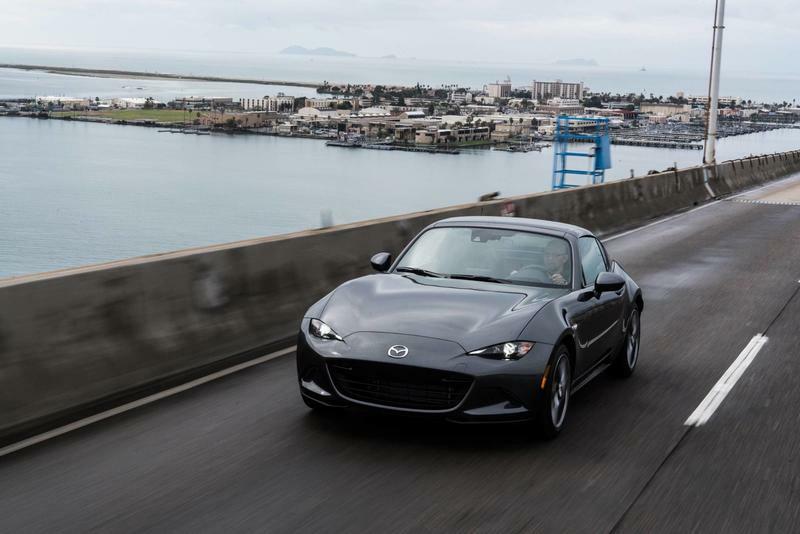 The ride is smooth, nimble, and well-balanced for cruising on serpentine routes. 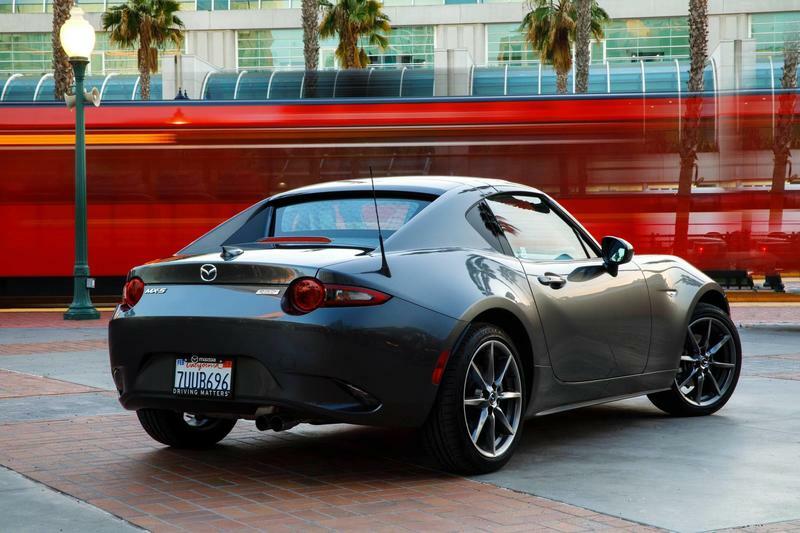 For someone like me, who stares at brake lights longer than I'm in my own apartment, the Miata is like surfing on a perfectly endless wave. 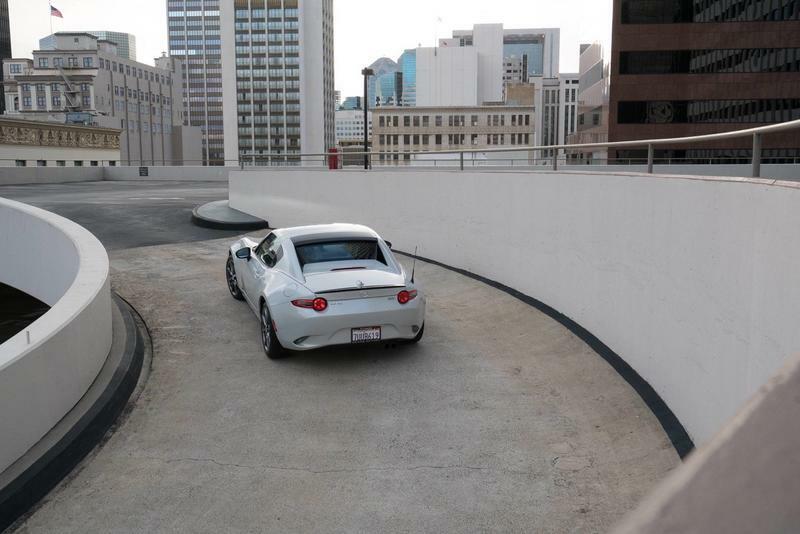 Needless to say, I was reluctant to give the keys back once the test drive was over. 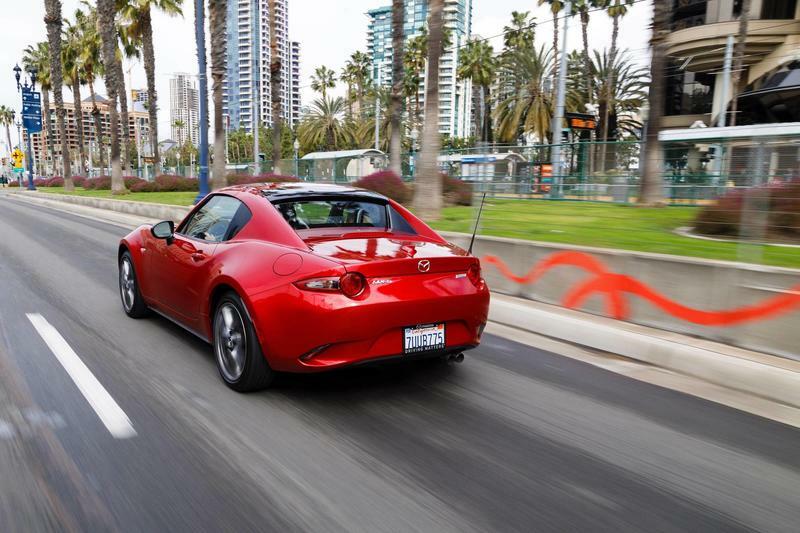 Disclosure: Mazda invited TechnoBuffalo to participate in a two-day drive in San Diego. 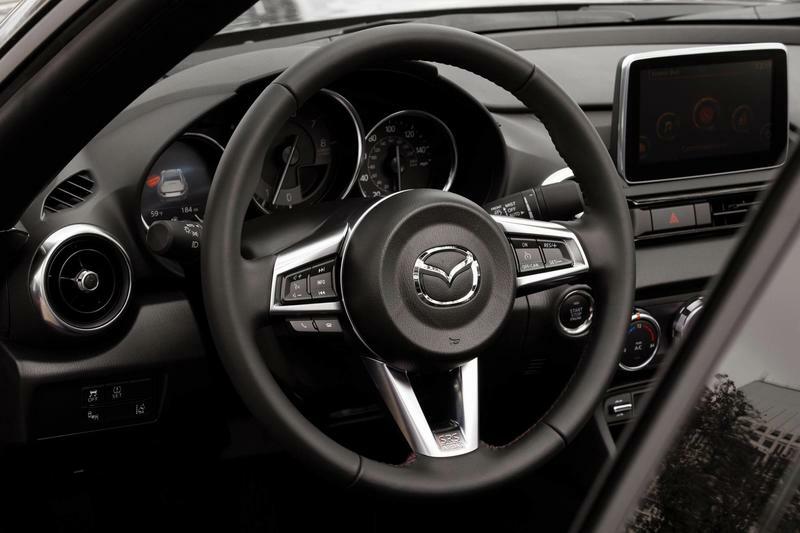 The company provided meal and hotel accommodations. 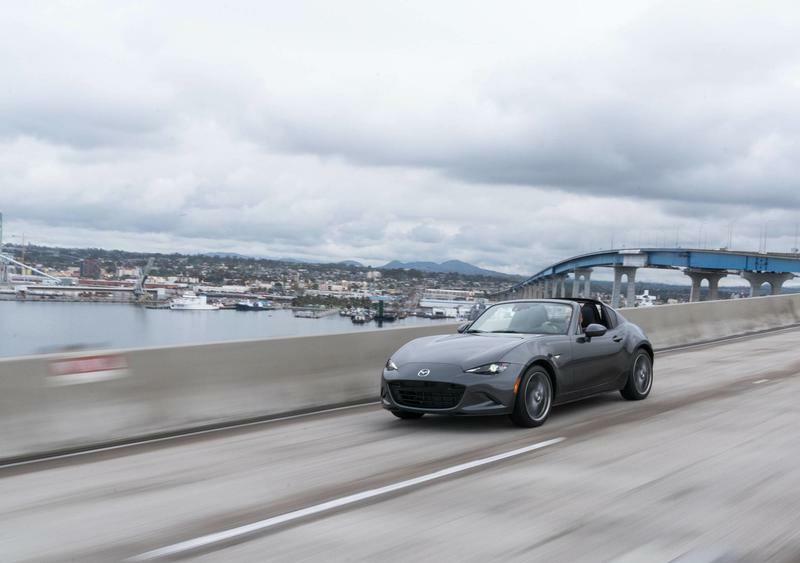 While no Mazda representatives accompanied me during the drive, the company did give lengthy presentations before I took the wheel. 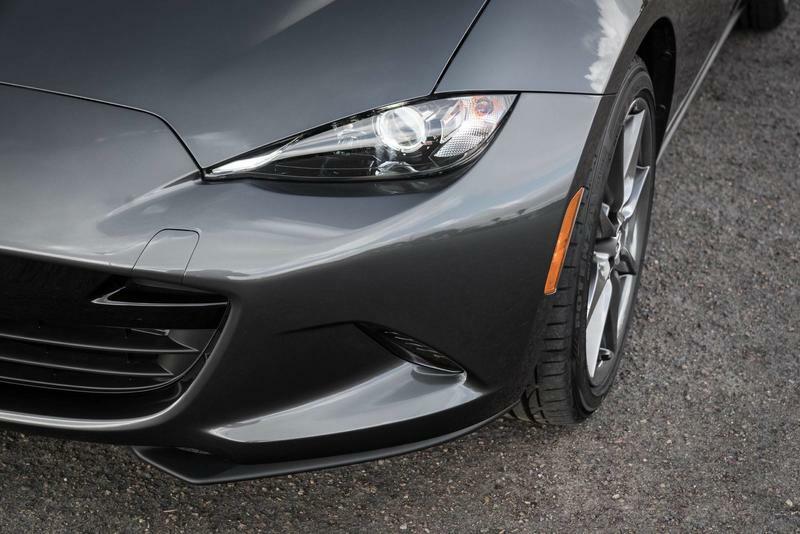 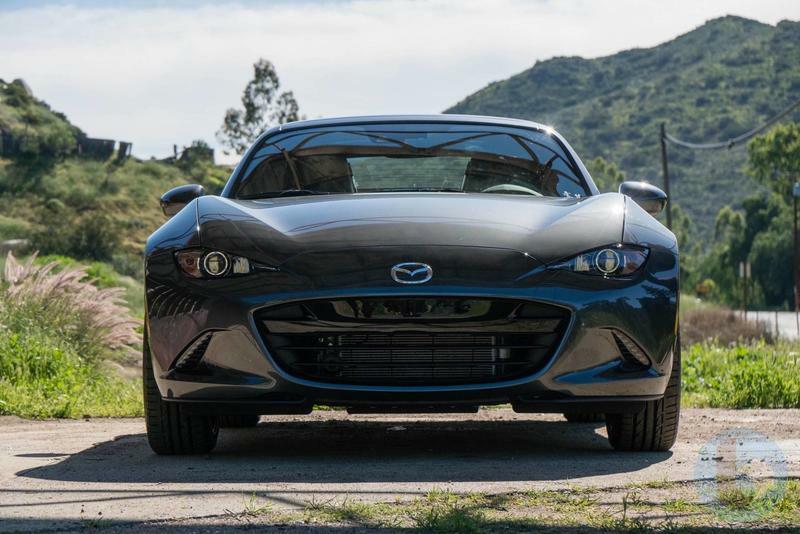 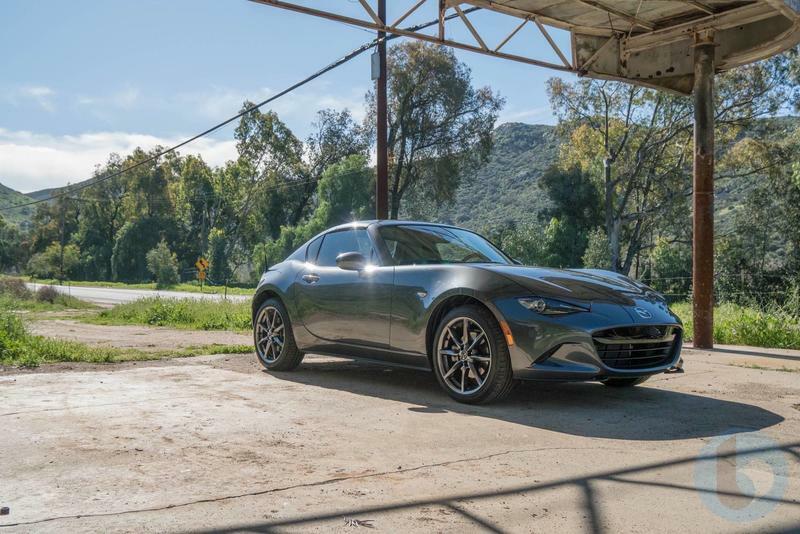 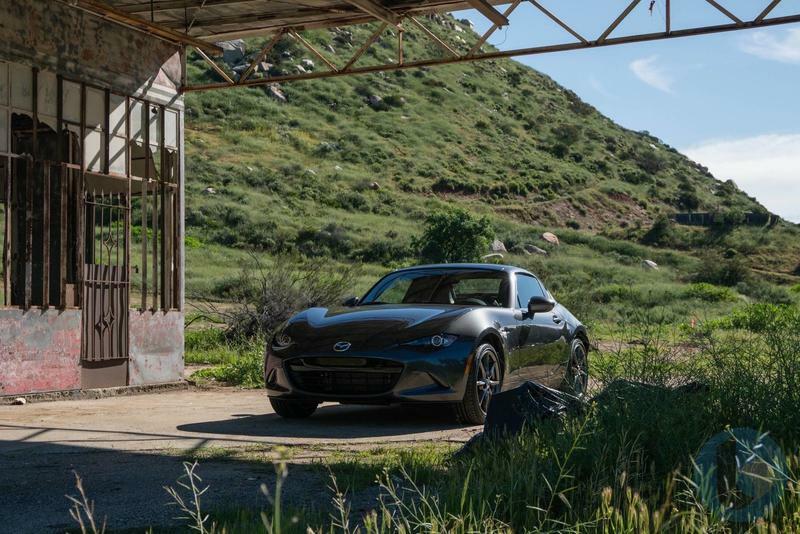 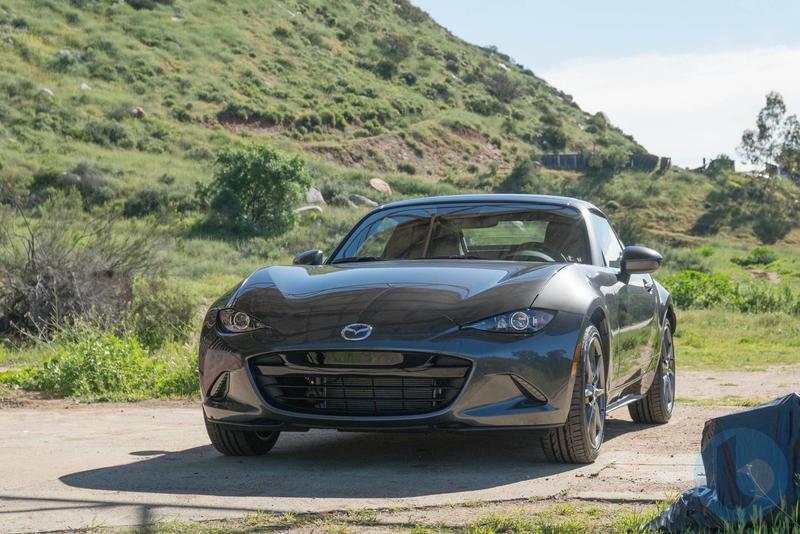 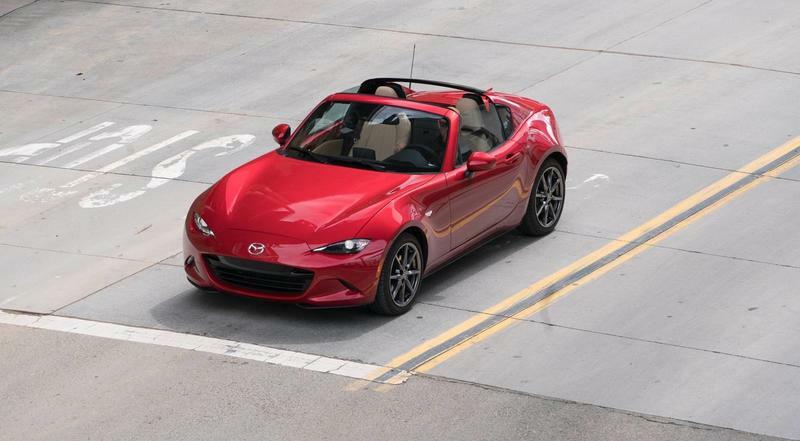 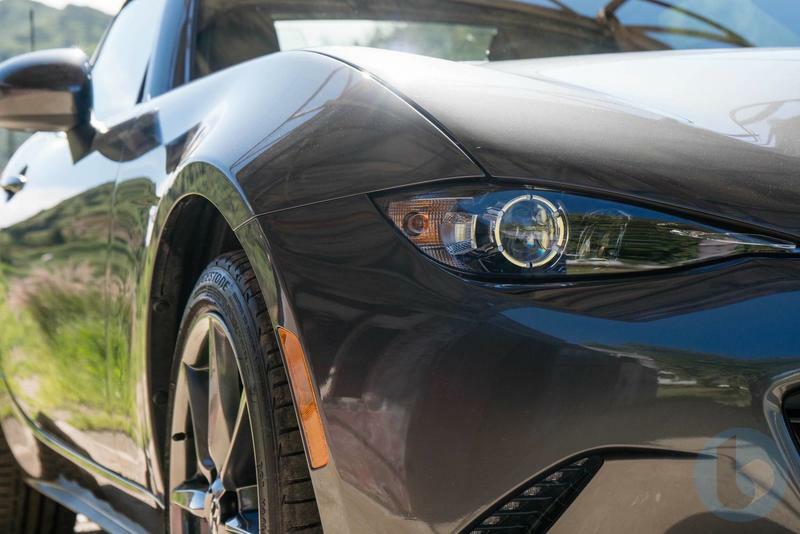 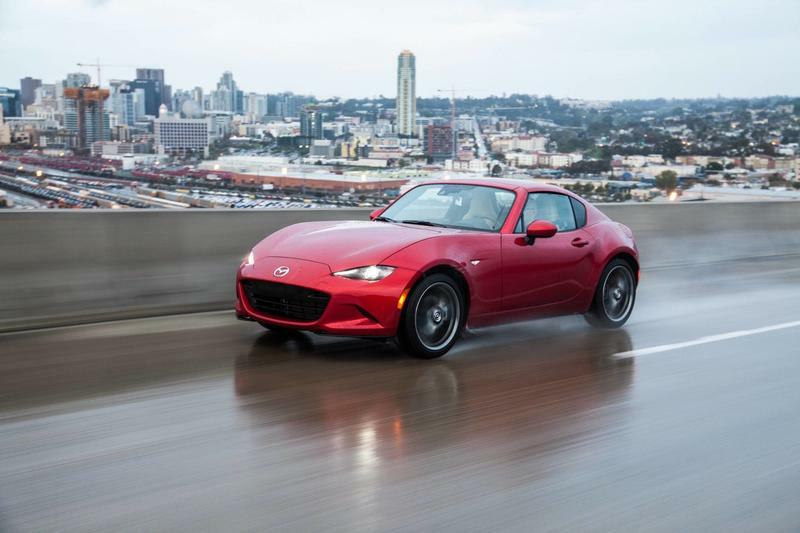 The 2017 MX-5 RF (RF stands for retractable fastback, but it should really stand for really fun) is about 100 pounds heavier than the soft top model, which has therefore led to a retuned suspension. 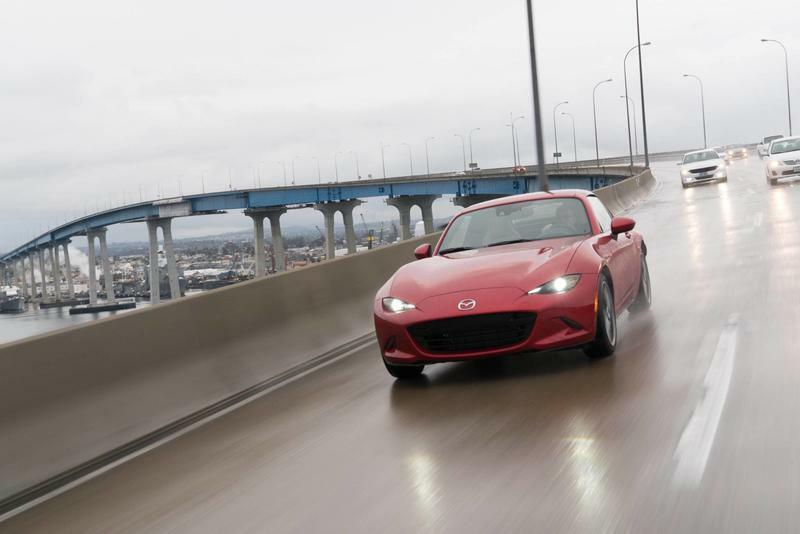 Mazda says steering calibration has been tweaked to reduce on-center friction. 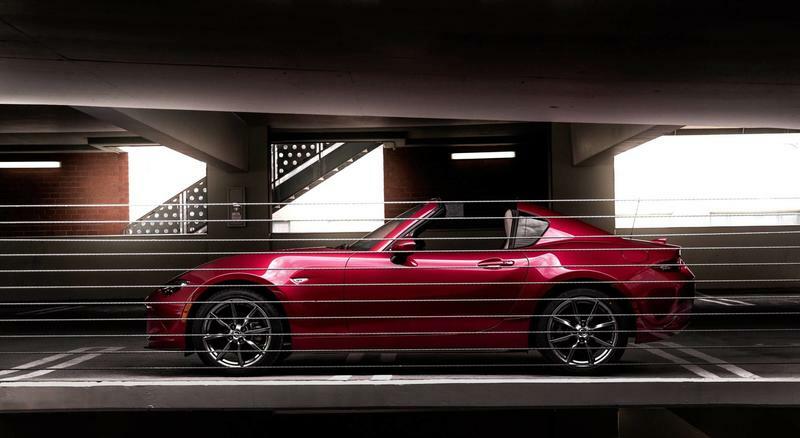 MX-5 RF is about 5mm taller than the soft top model. 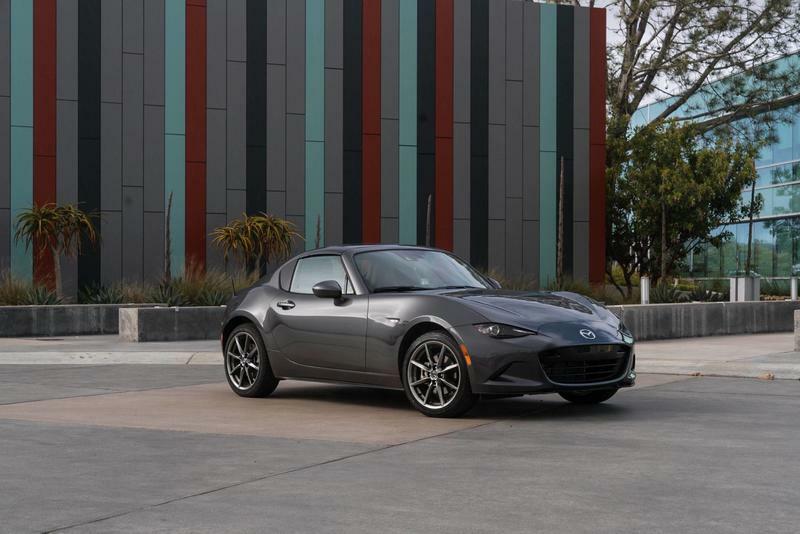 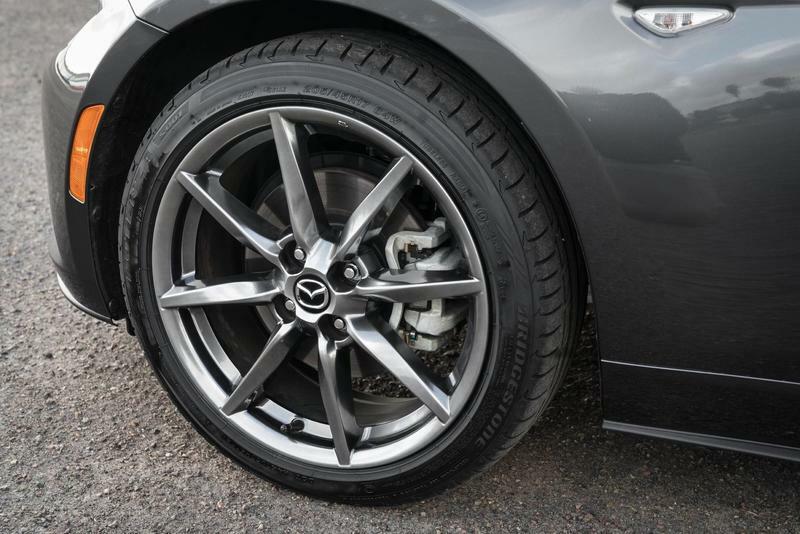 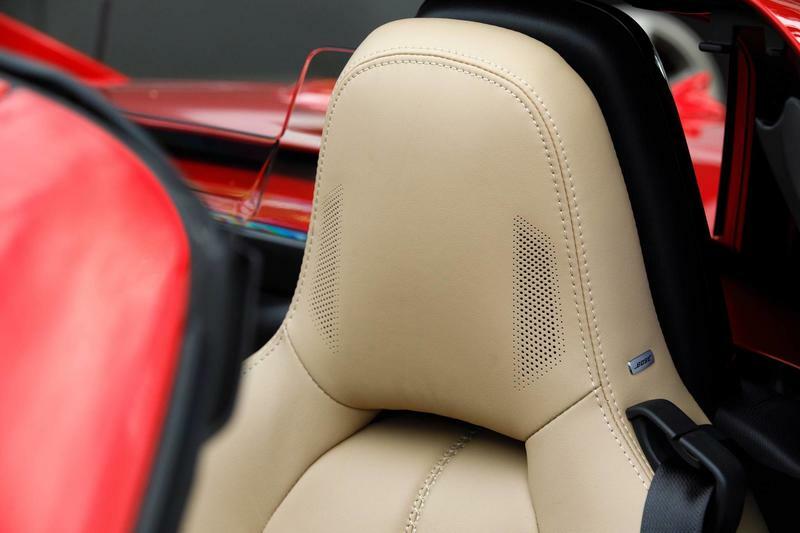 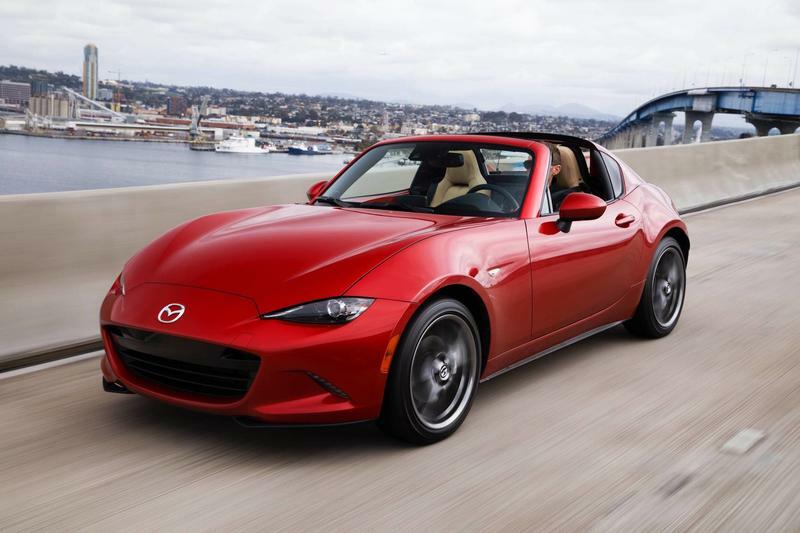 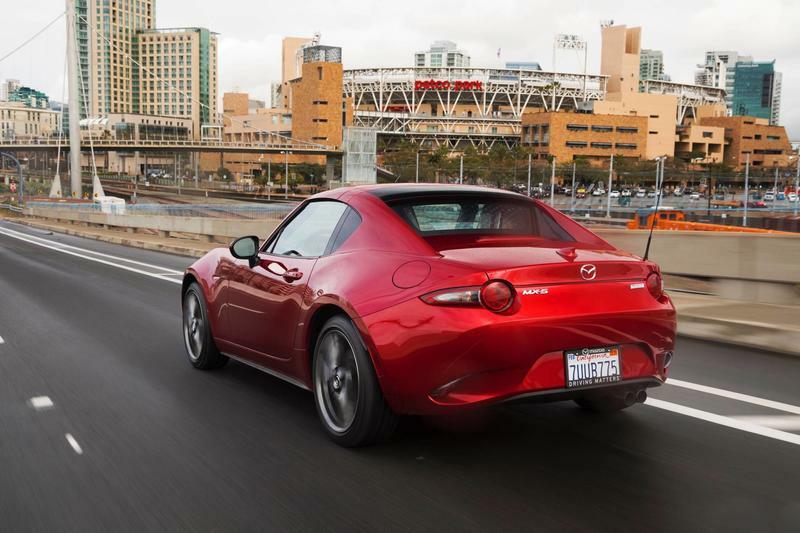 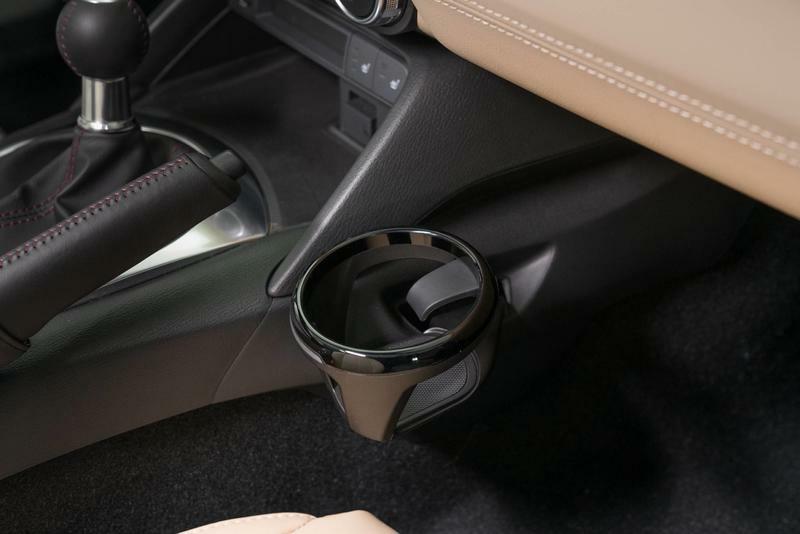 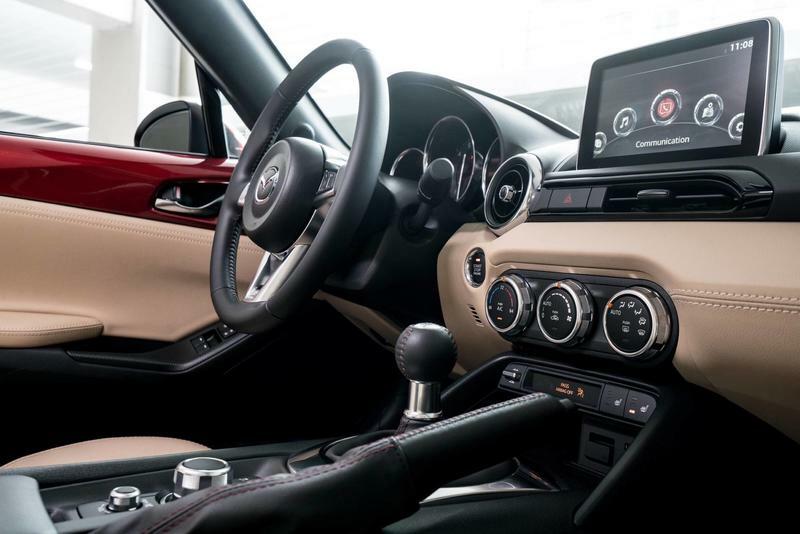 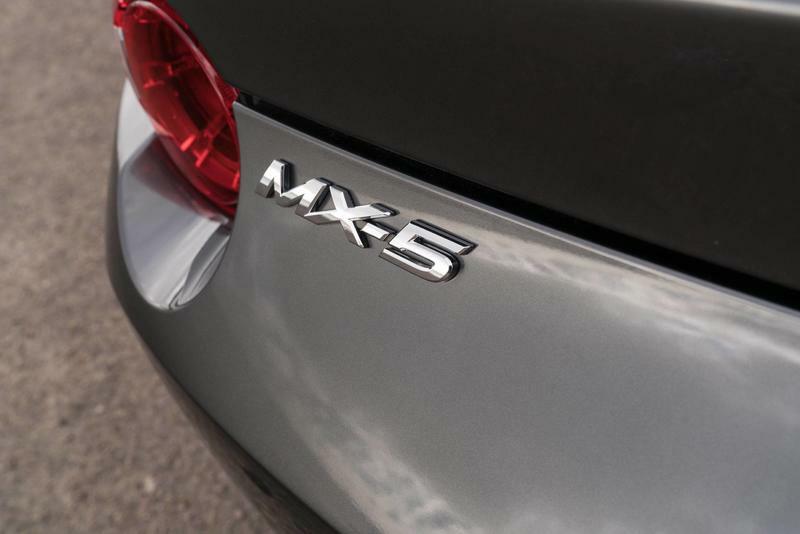 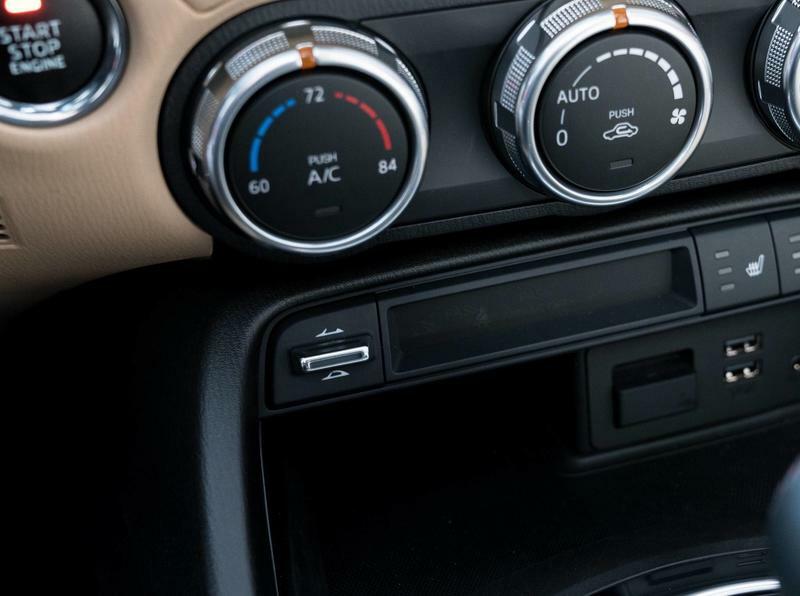 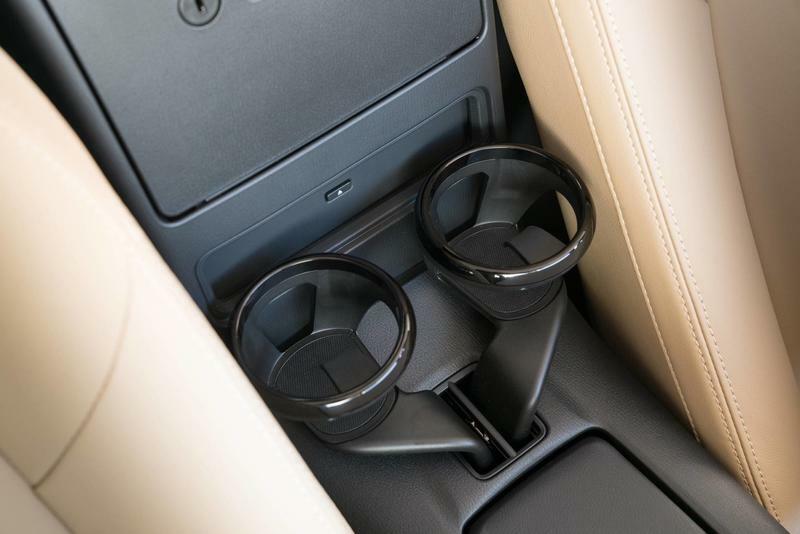 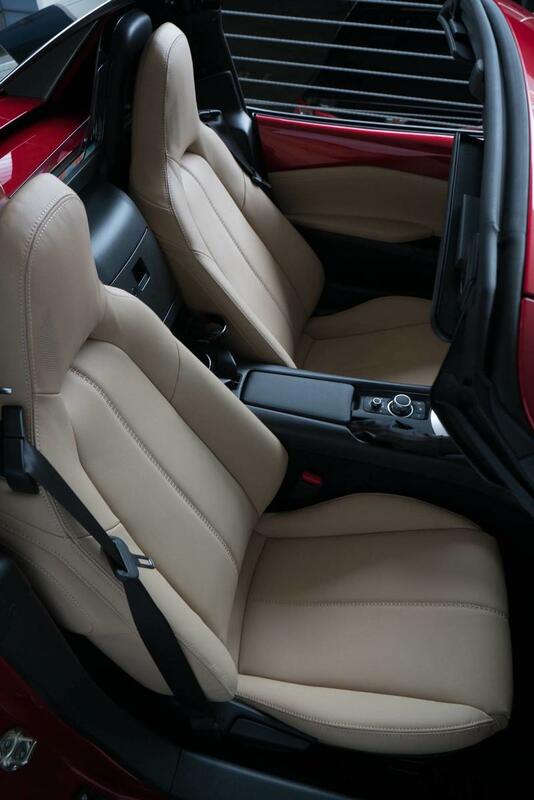 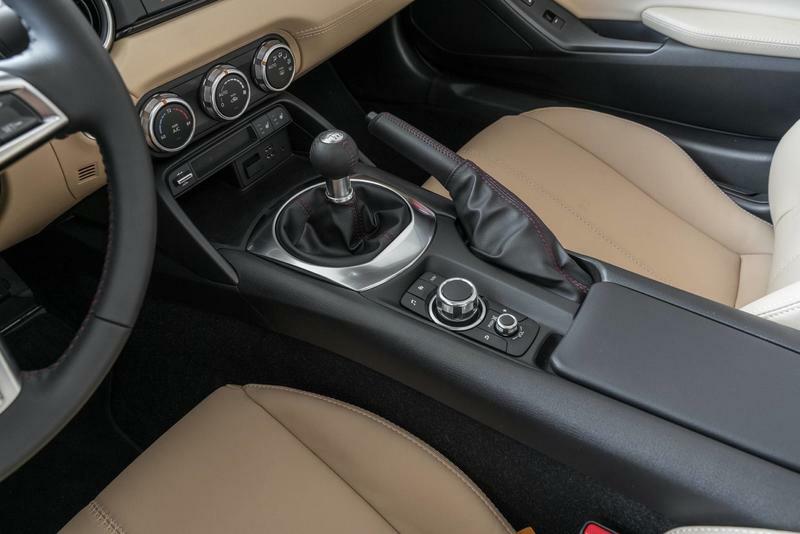 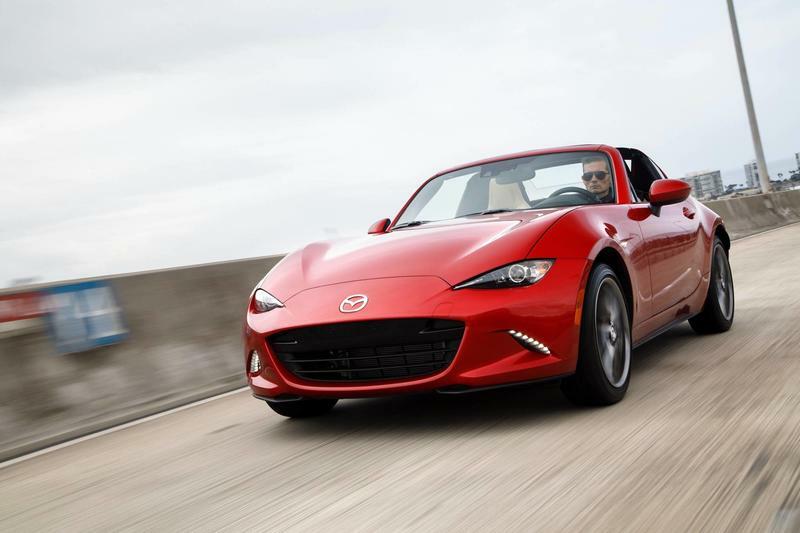 The MX-5 RF is so compact that minimal changes have been made to the trunk and storage space. 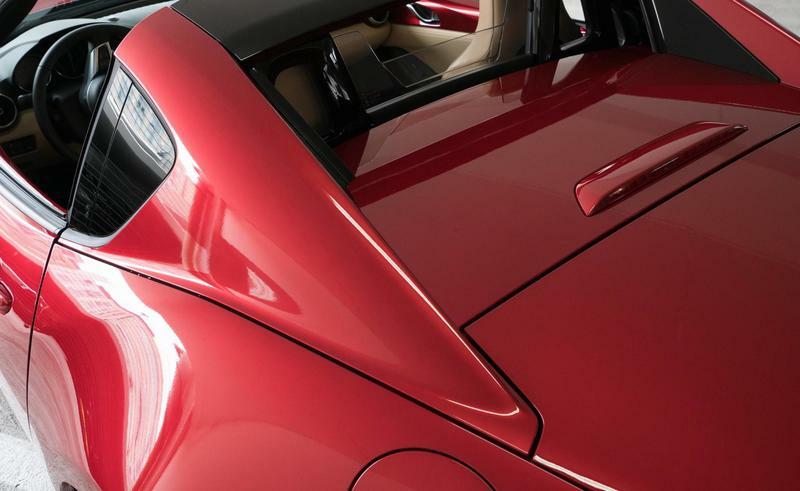 Roof motors operate at speeds up to 6 mph and open or close in just 13 seconds. 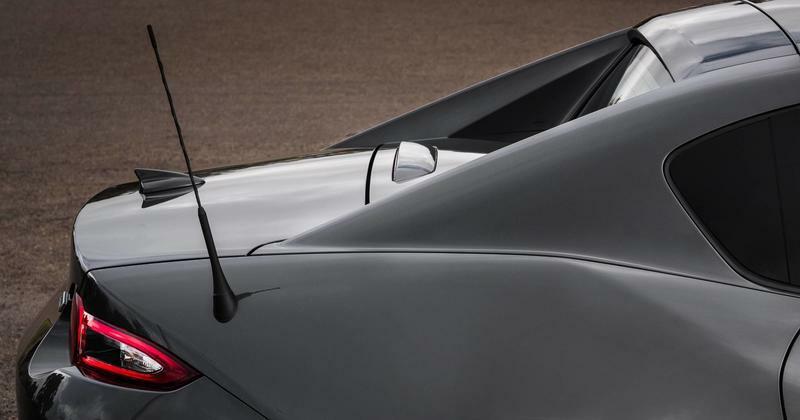 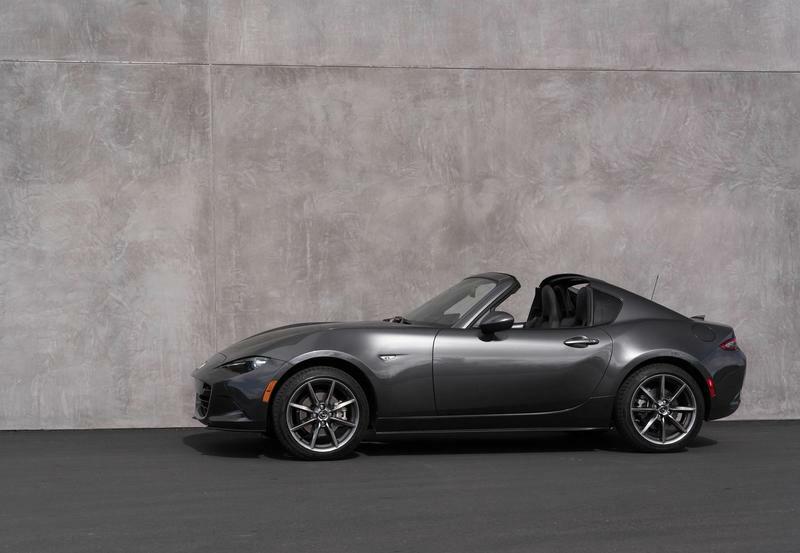 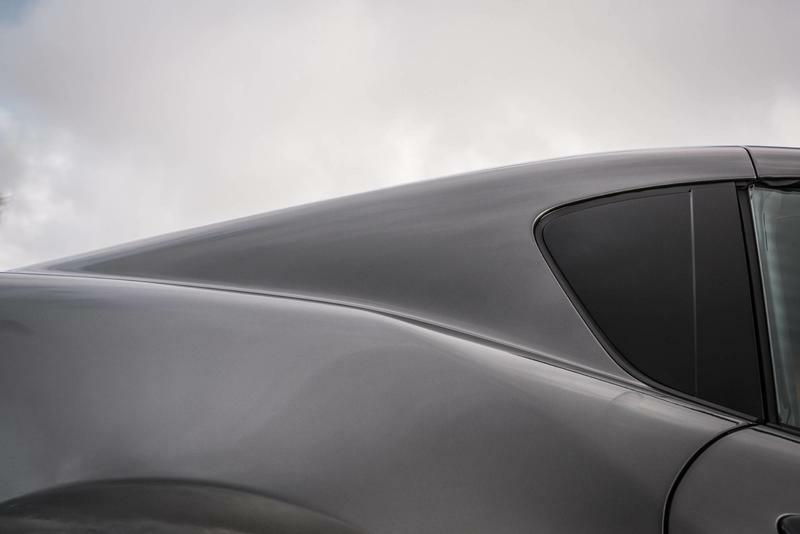 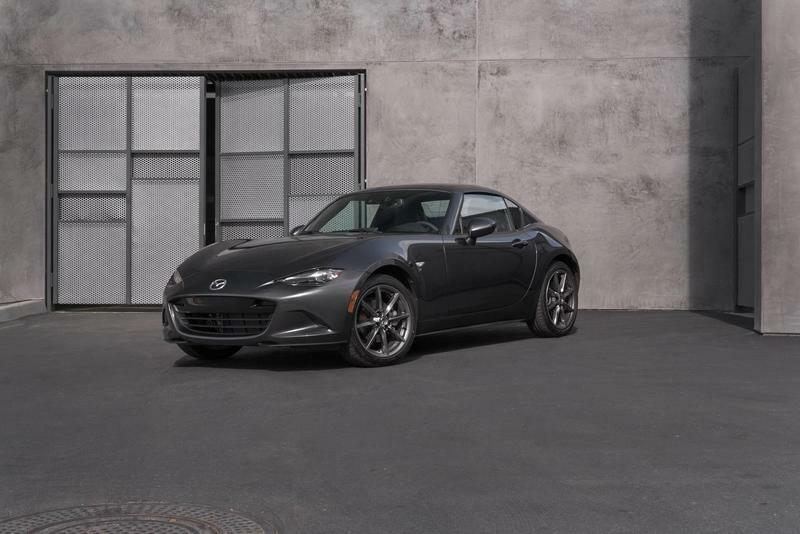 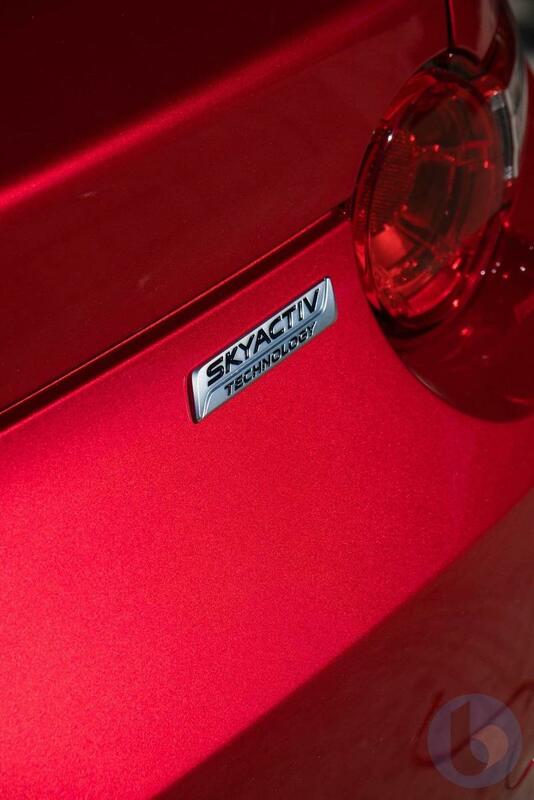 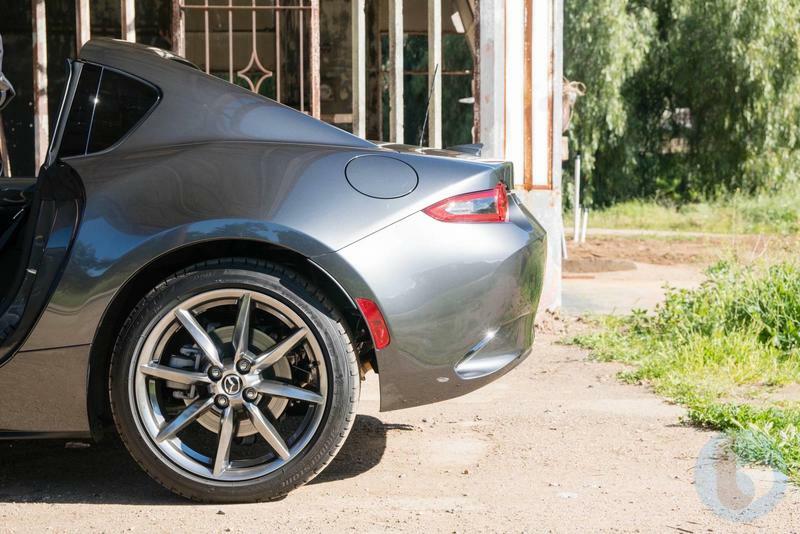 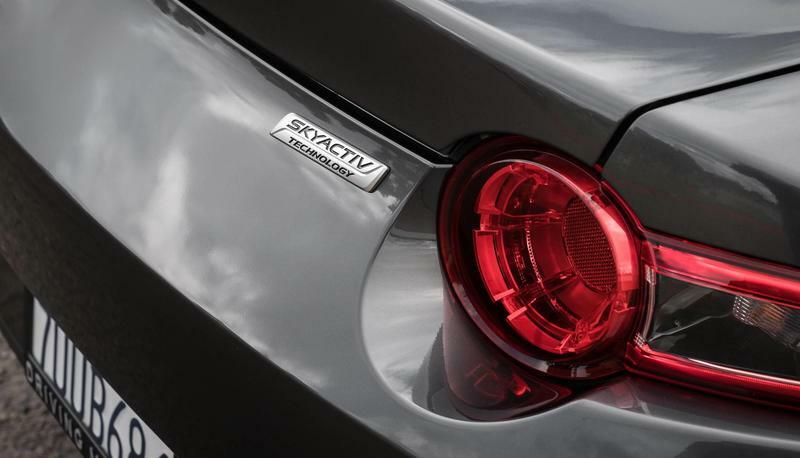 The MX-5 RF offers fastback styling with a beautiful smooth line joining the roof to the rear end. 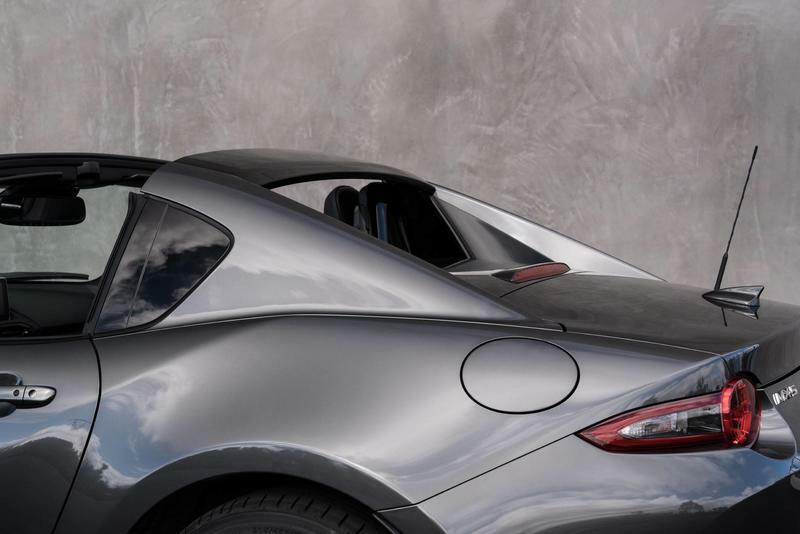 The MX-5 RF's retractable hardtop consists of a front roof, middle roof, rear roof and back window glass. 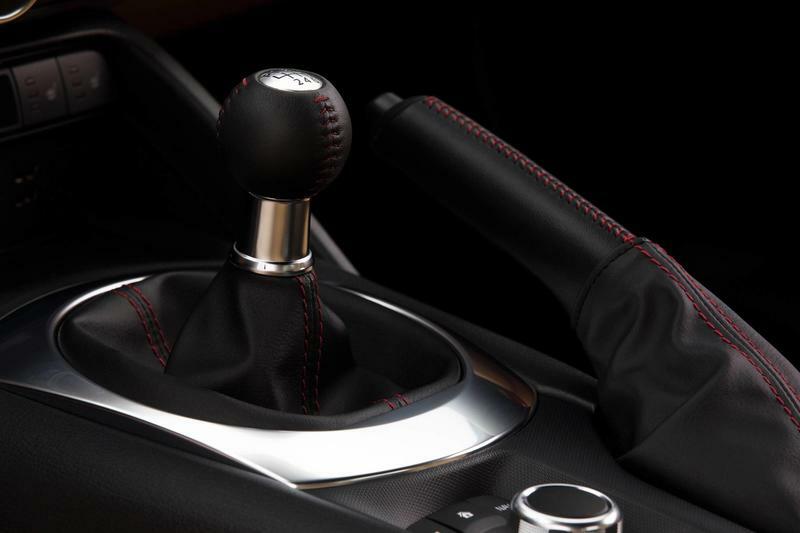 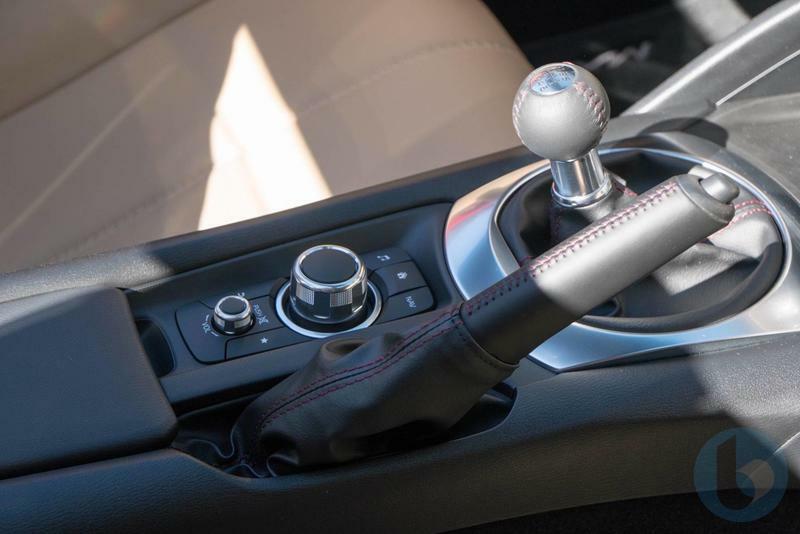 Manual transmission offer 26 miles per gallon city, 33 miles per gallon highway. 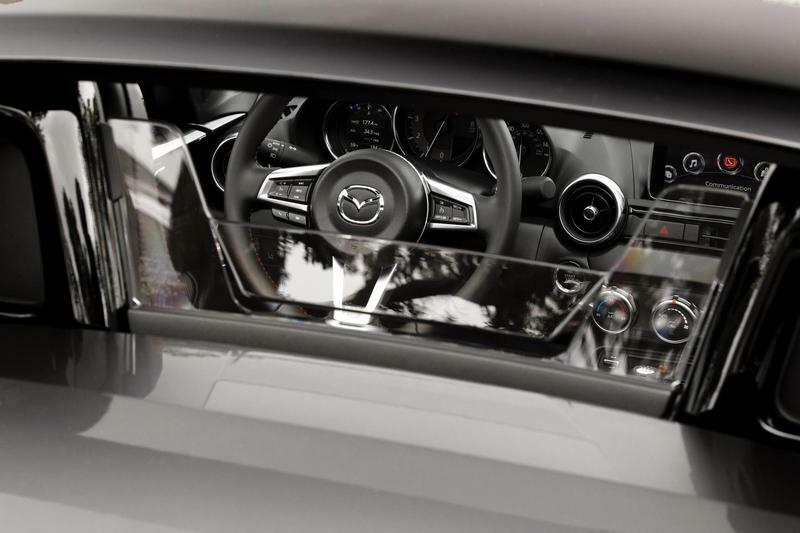 Standard blind spot monitoring and rear cross traffic alert offered. 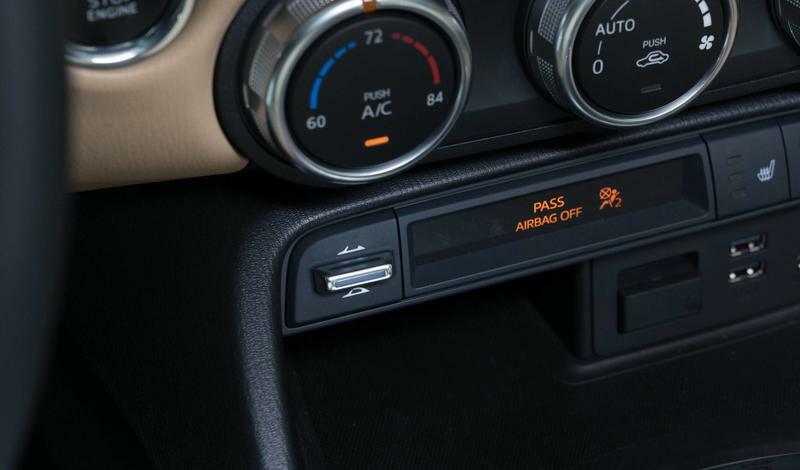 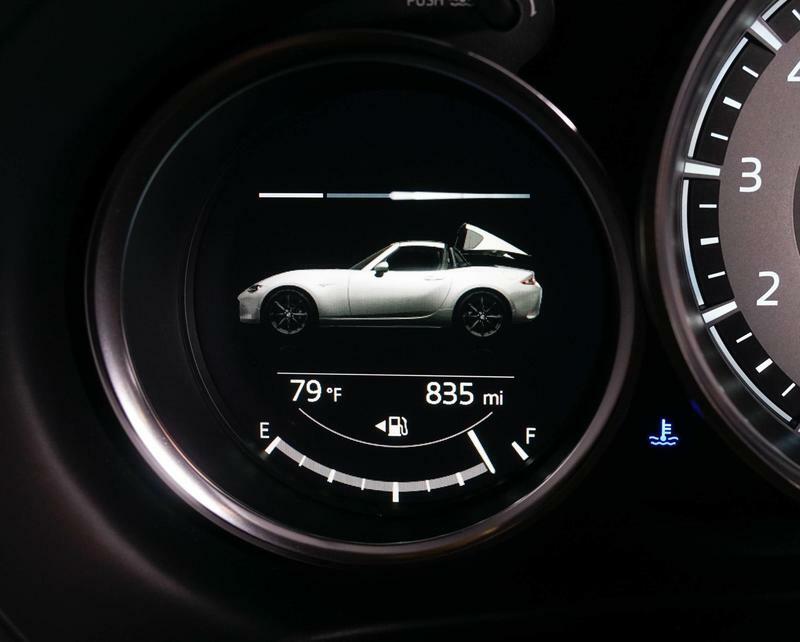 Offers a lane departure warning system (which is annoying as hell on backroads). 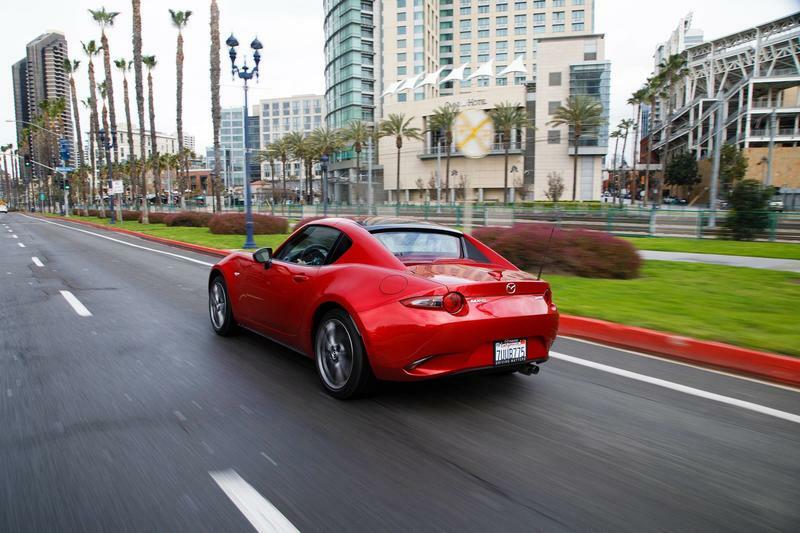 Uses double-wishbone front suspension and rear multilink setup. 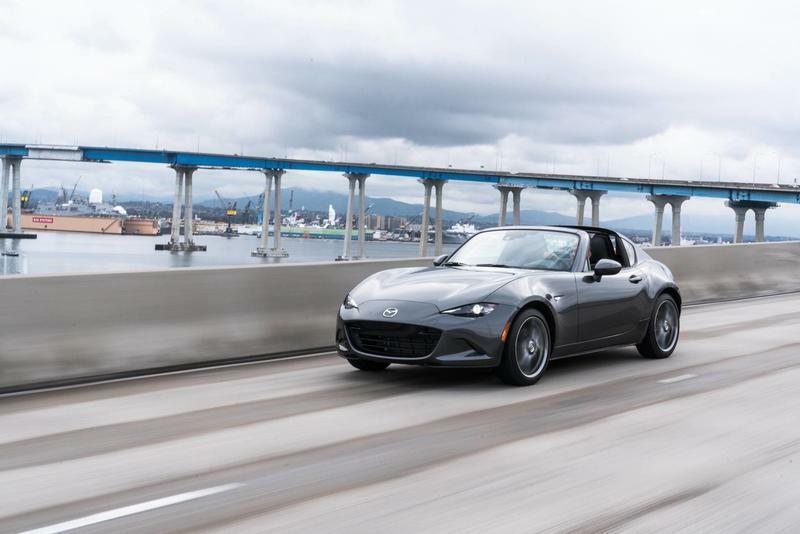 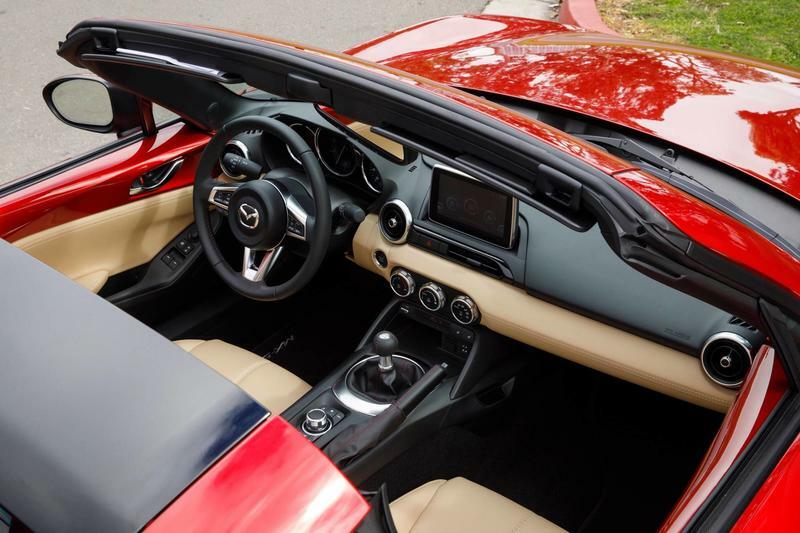 According to Mazda, the MX-5 RF is seen more as a vehicle that offers "top-up driving," which is odd for a car that has a retractable roof. 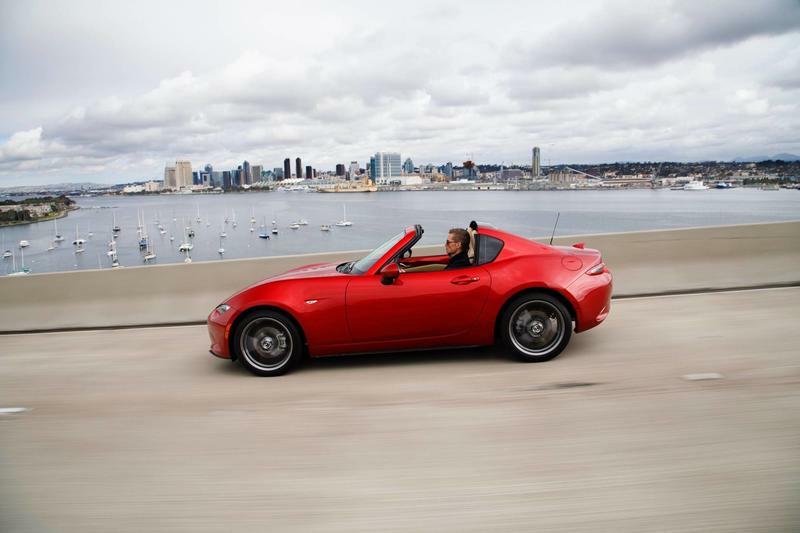 Mazda suspects people gravitate to the hard top because it's considered safer. 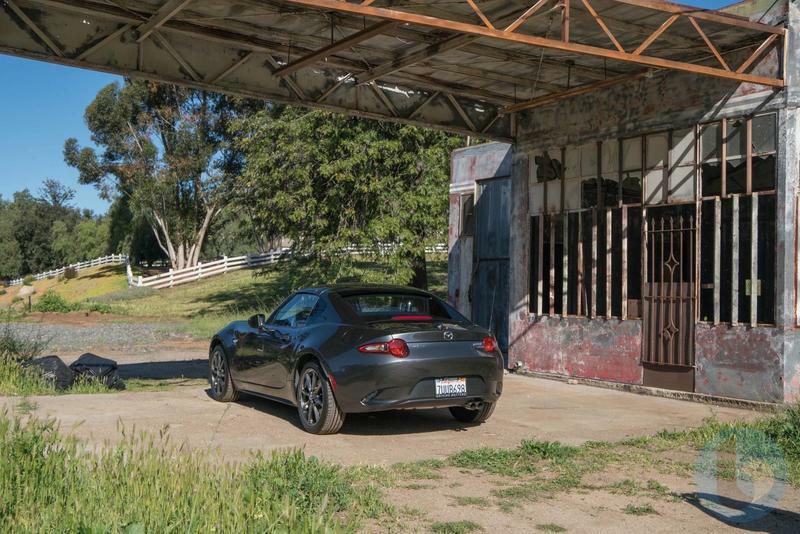 But that doesn't mean the car doesn't offer a great open-air experience—I tried both during our short drive. 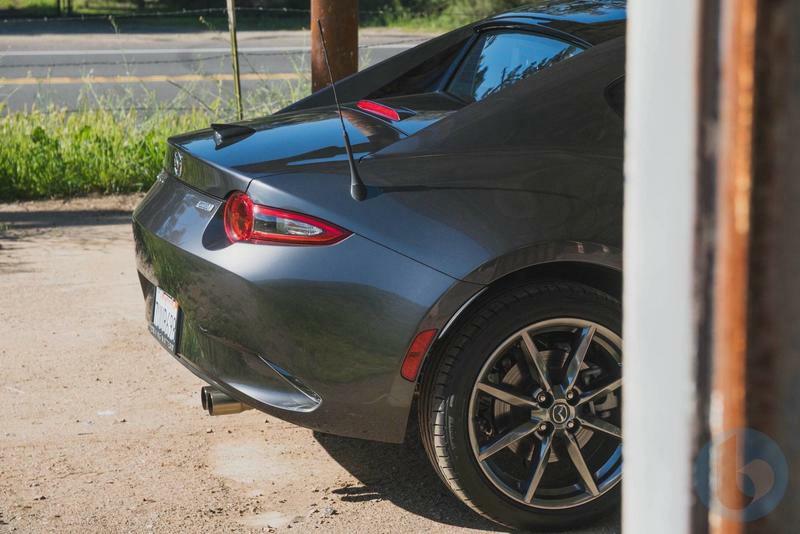 As a California native, you can guess which one I liked better. 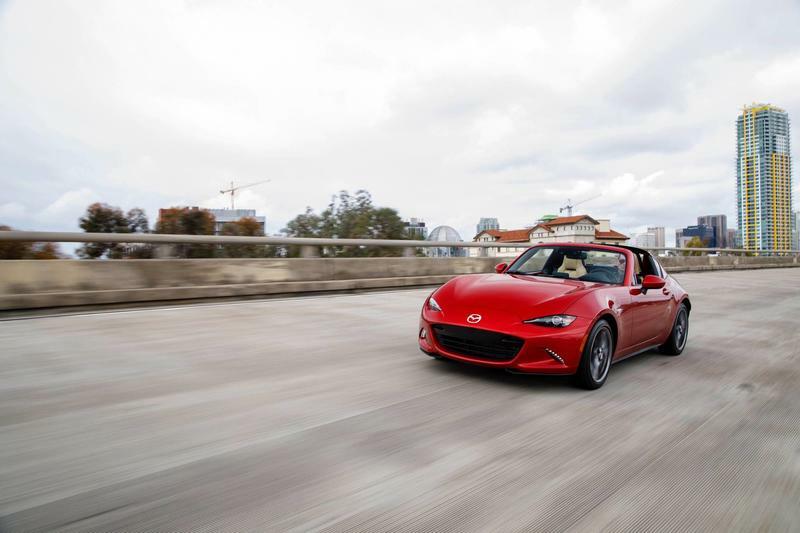 Since making its debut in 1989, the Miata has become an automotive icon—and the vision that brought it to life at the Chicago Auto Show still persists today. 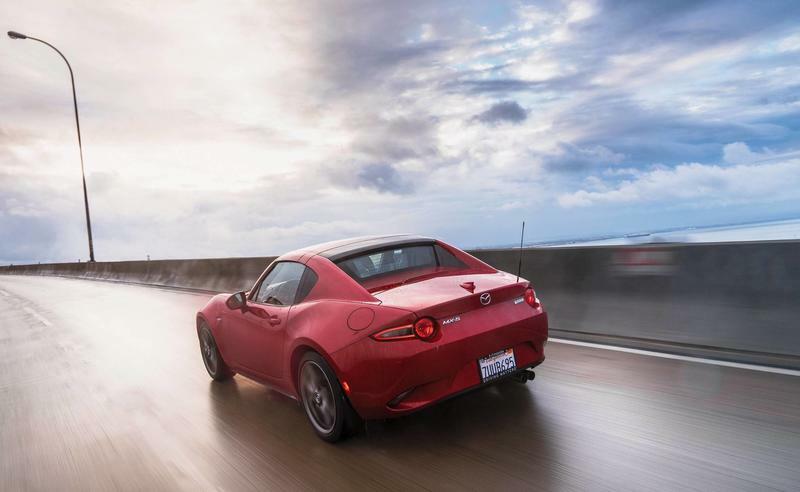 Very few vehicles offer such a profound "oneness" when driving, a feeling when the vehicle you're driving becomes an extension of your body. 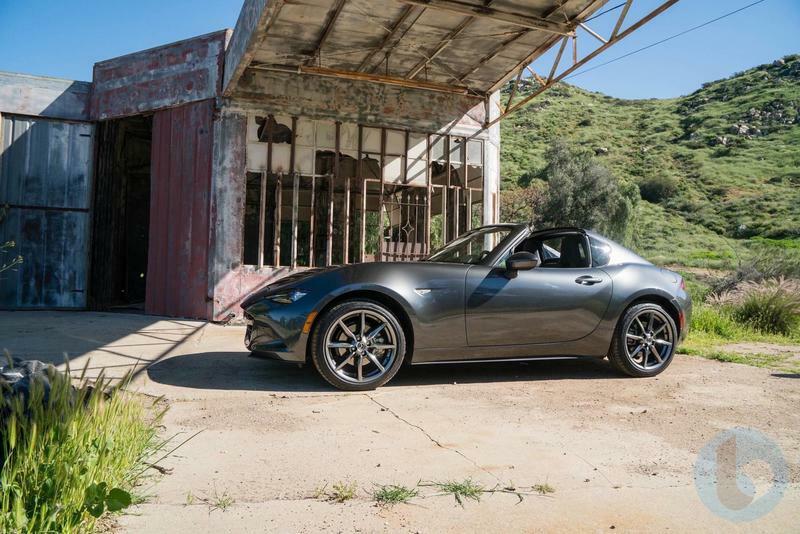 Sitting in the Miata certainly feels like a fuse takes place. 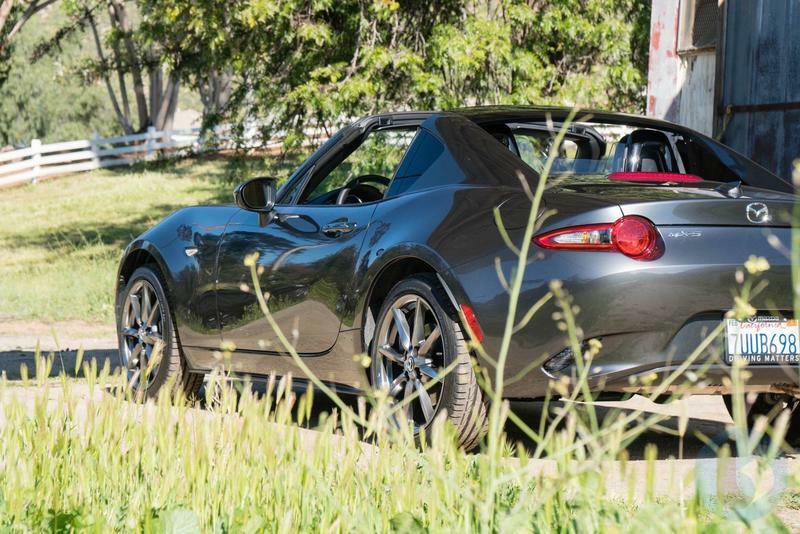 That's what makes the MX-5 RF such a fun weekend fling. 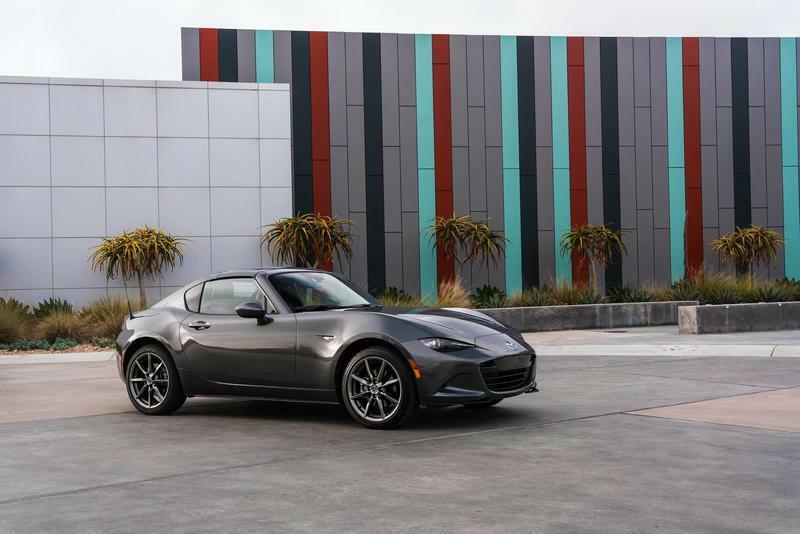 The 2017 RF adopts Mazda's SKYACTIV technology and what the automaker says is a "deeper expression" of its KODO design theme. 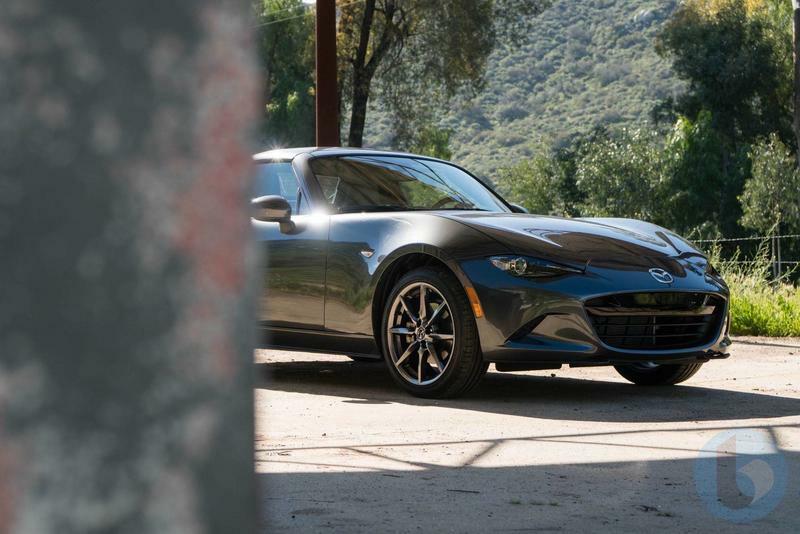 As a result, the MX-5 RF features a profile that's lower and sleeker, something that was apparently inspired by Italian classics from the 60s. 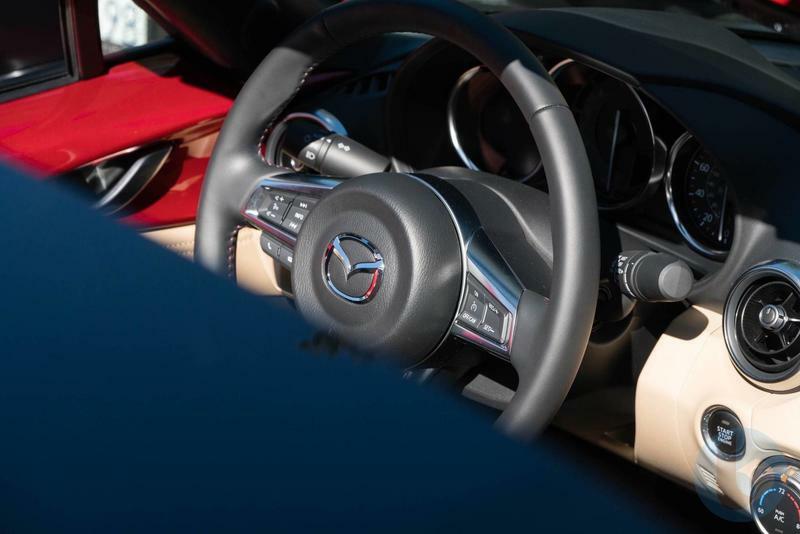 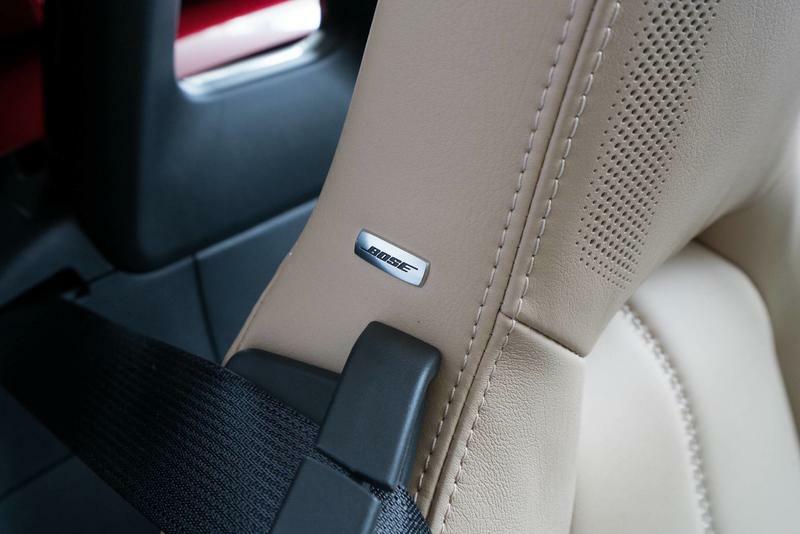 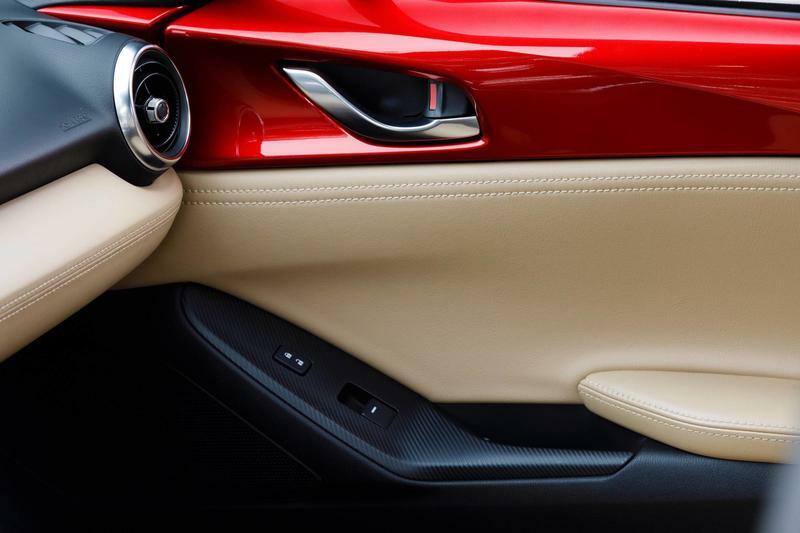 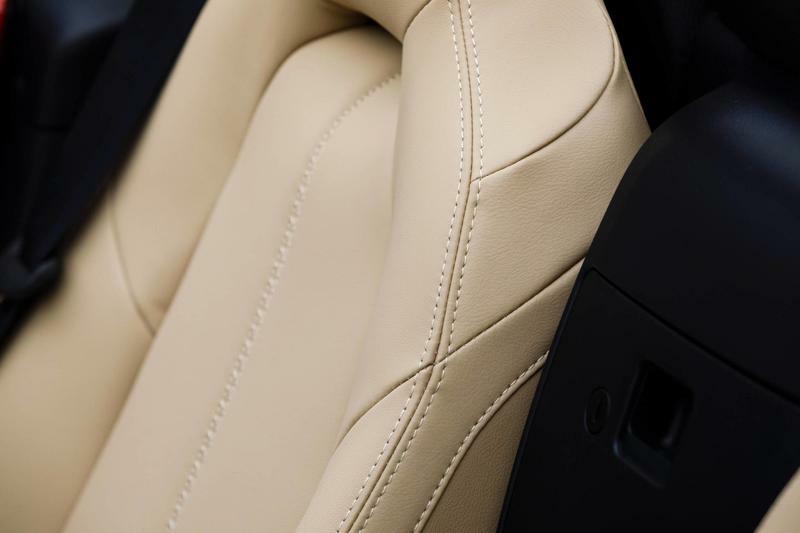 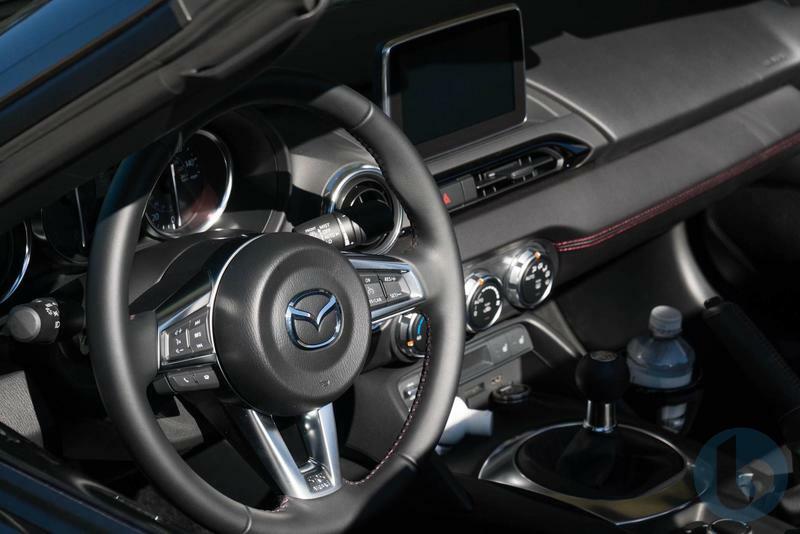 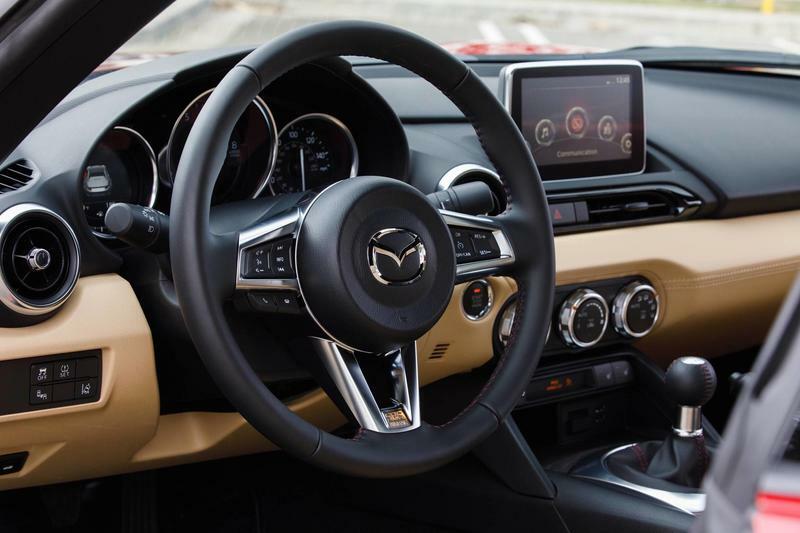 Mazda changed up the interior, too, making the ergonomics more friendly to a wider range of drivers (and passengers). 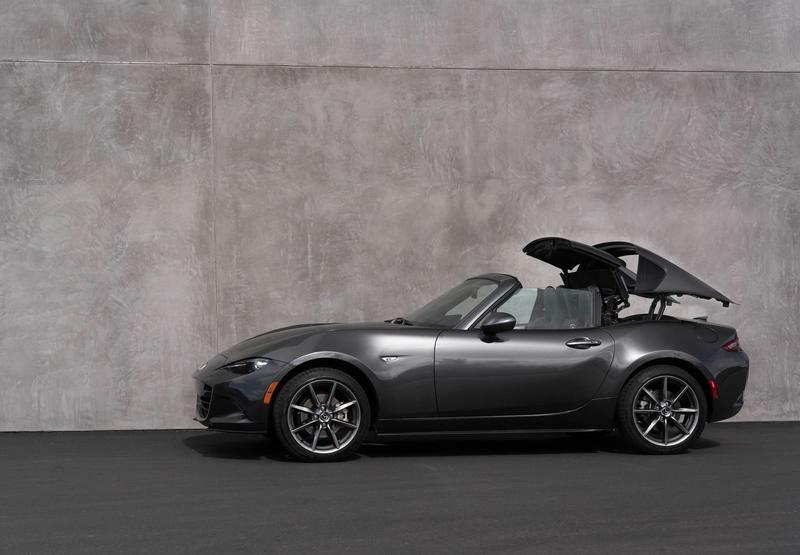 I'm average size, and while I didn't find the cockpit cramped, simply getting out of the car requires a bit of gymnastics. 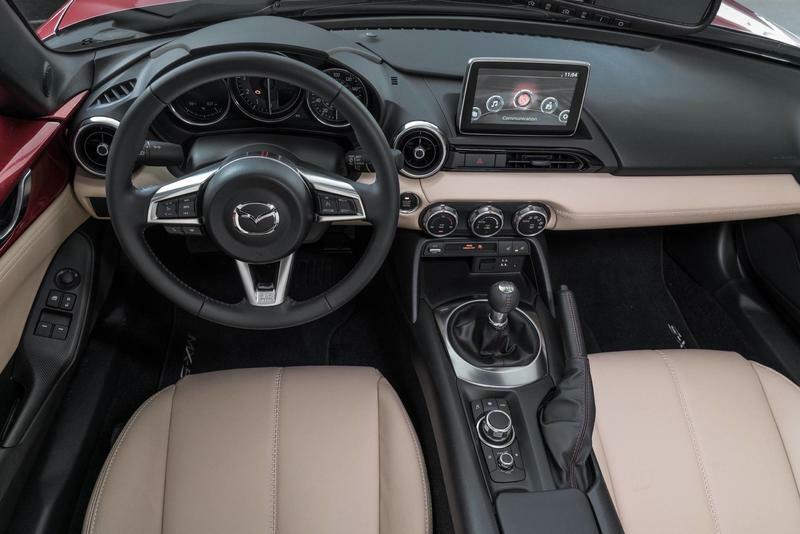 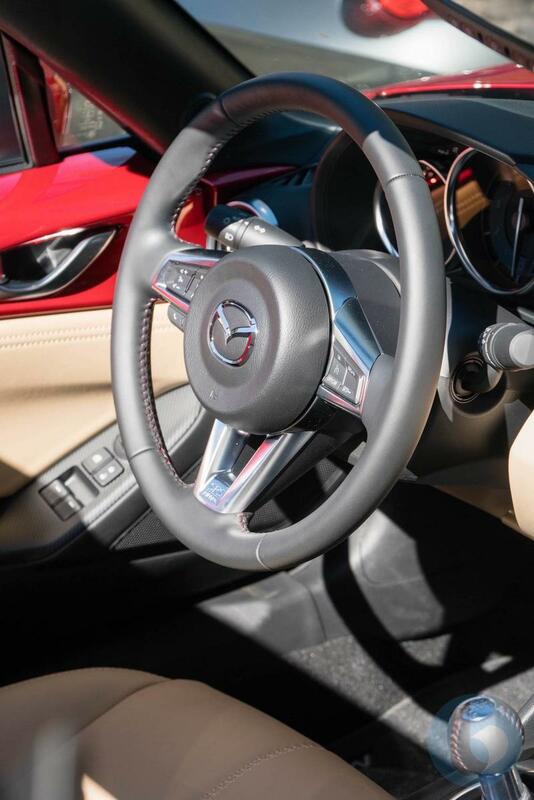 I got to tackle the 6-speed manual, which features a 2.0-liter SKYACTIV-G engine, with 155 horsepower at 6,000 rpm and 148 lb-ft of torque and 4,600 rpm. 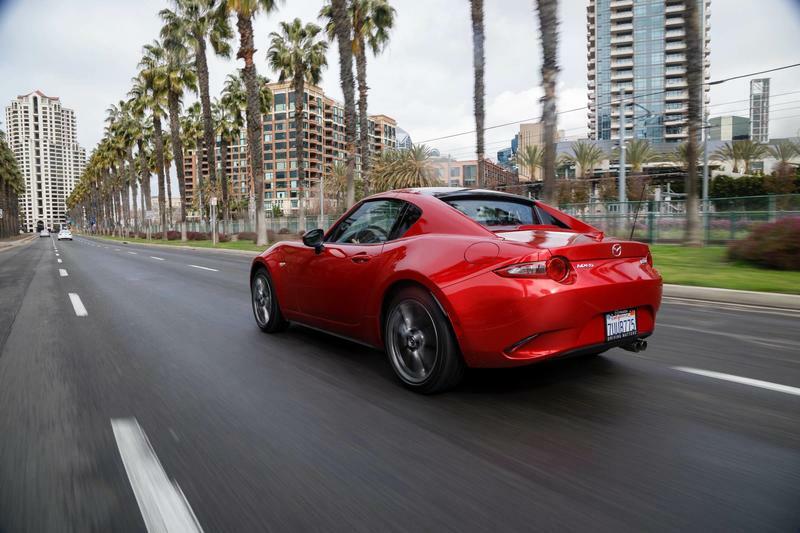 Mazda offers a 6-speed automatic, but where's the fun in that? 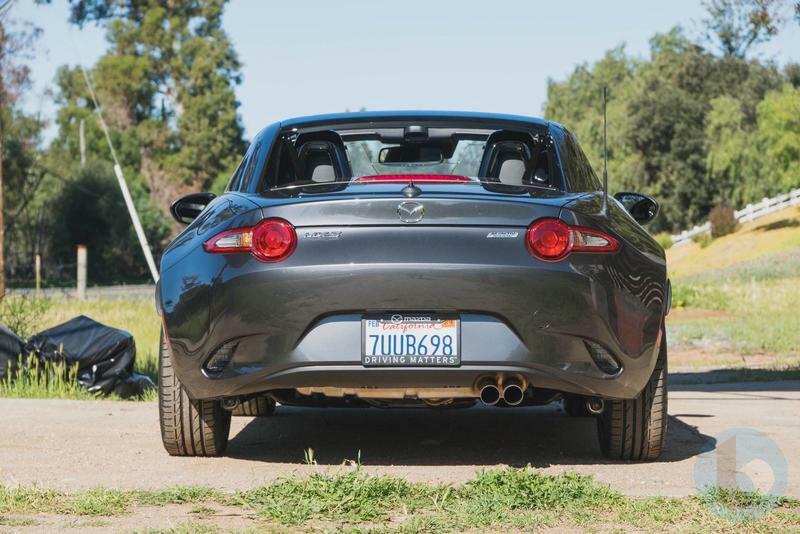 I drive an old manual as my daily coach and it was a treat to experience what the MX-5 RF had to offer. 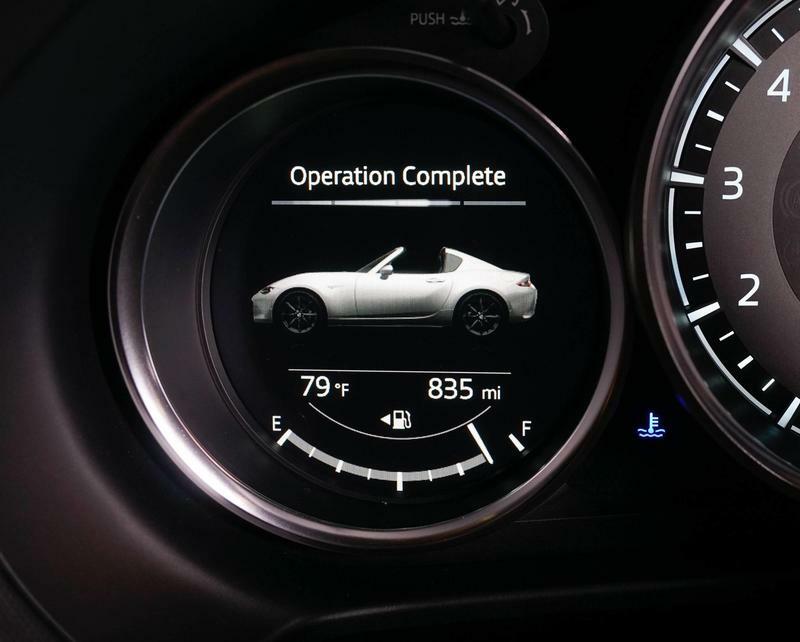 It's not that the RF is particularly fast. 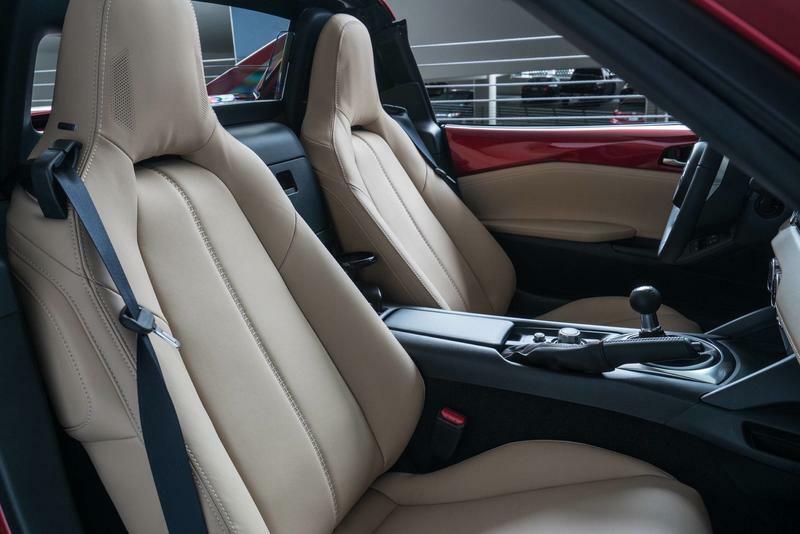 Jumping off the line, acceleration won't pin you back to your seat. 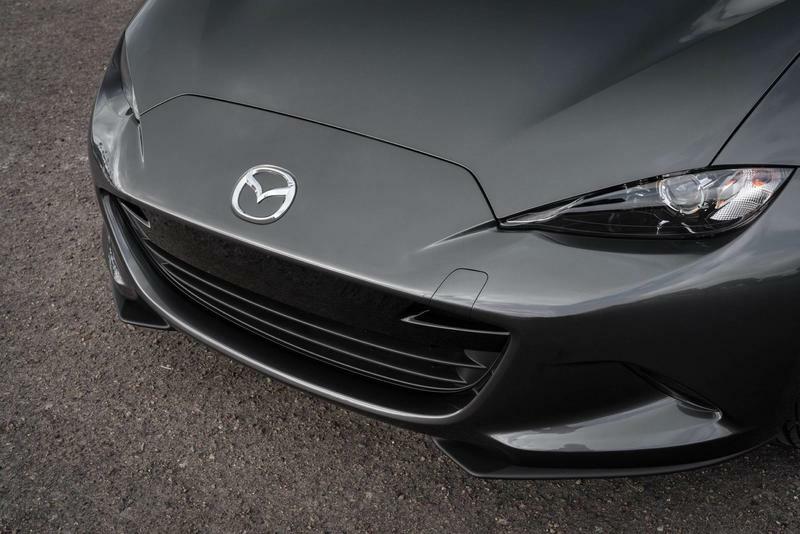 But none of that really matters because Mazda cares more about a person's emotional connection to the car than how much power is under the hood. 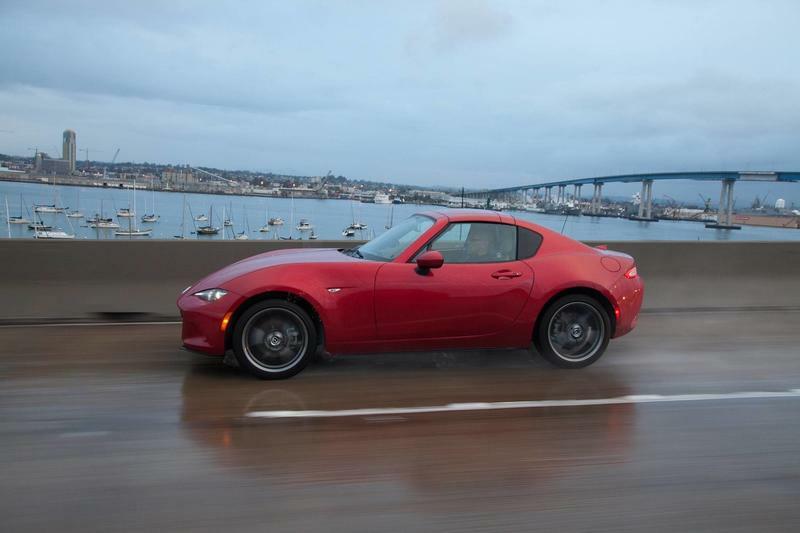 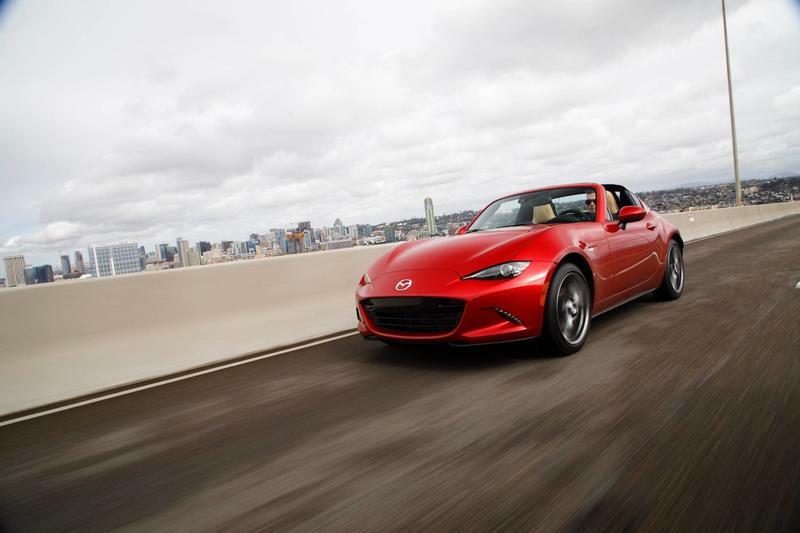 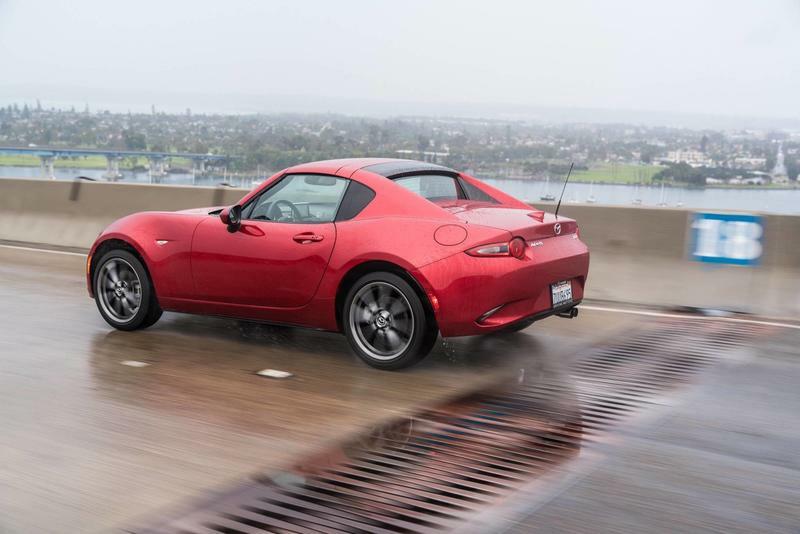 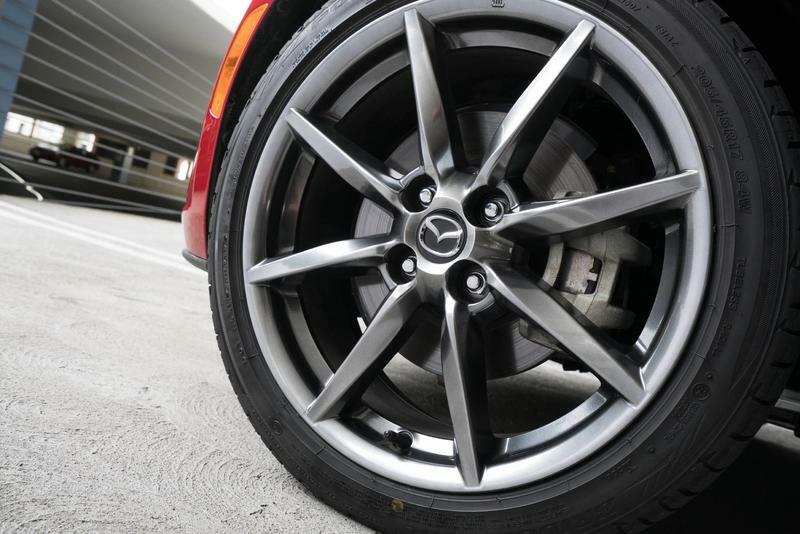 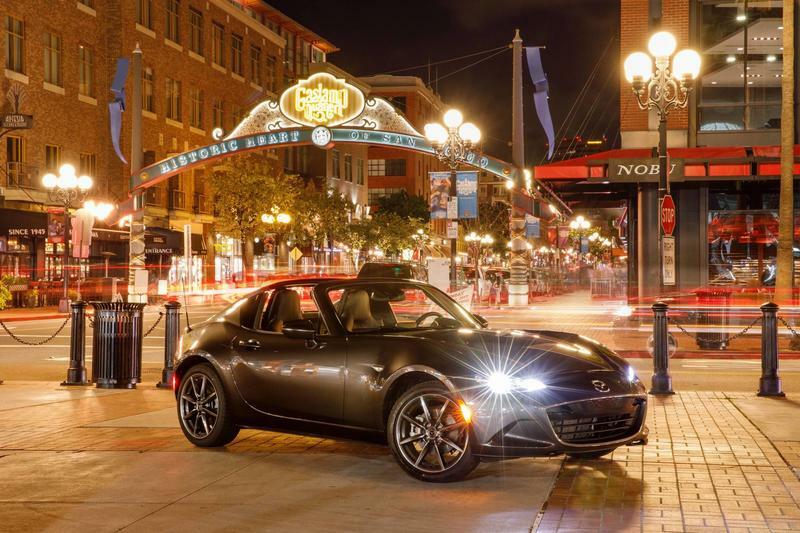 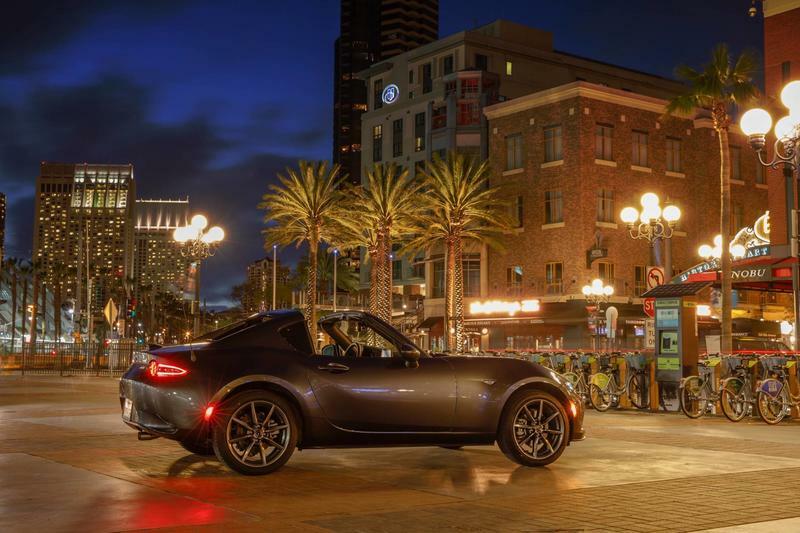 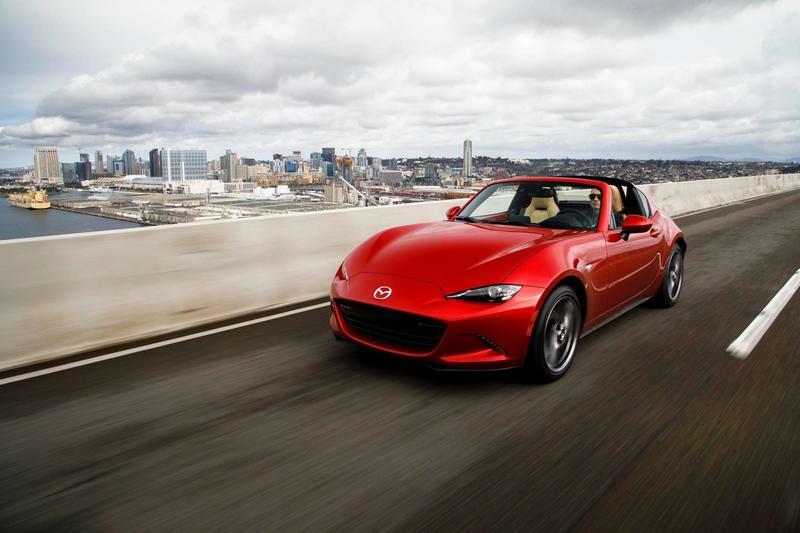 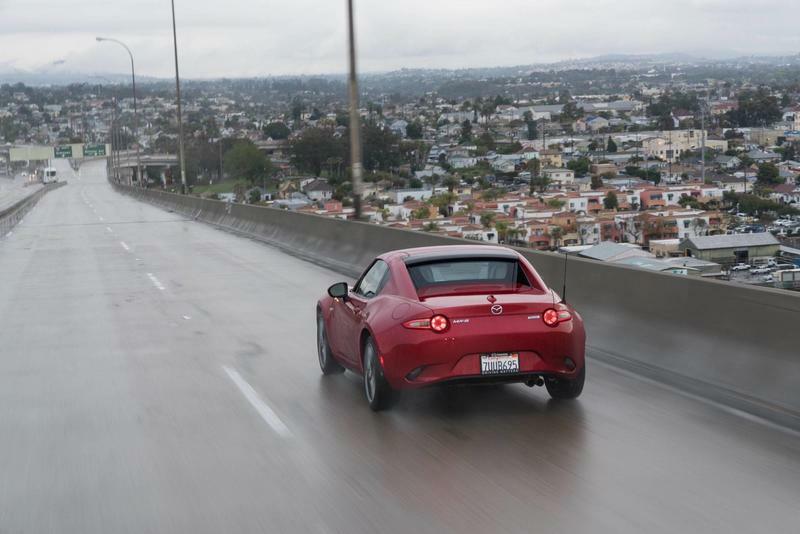 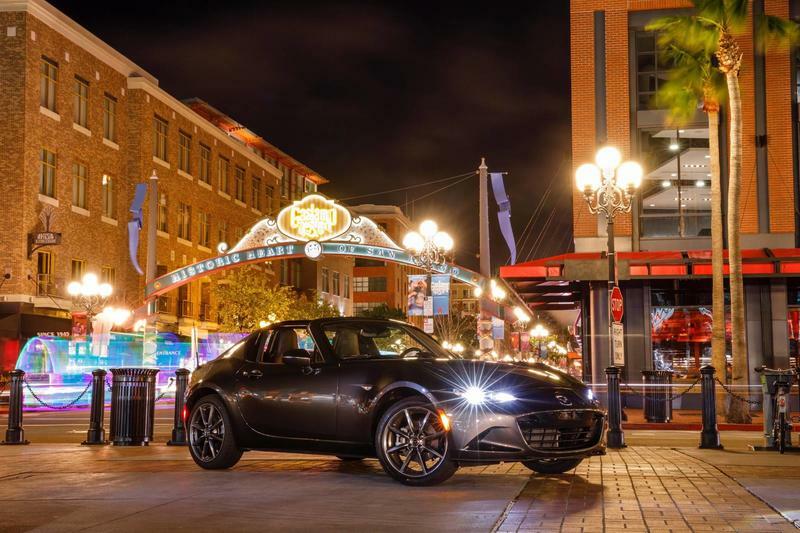 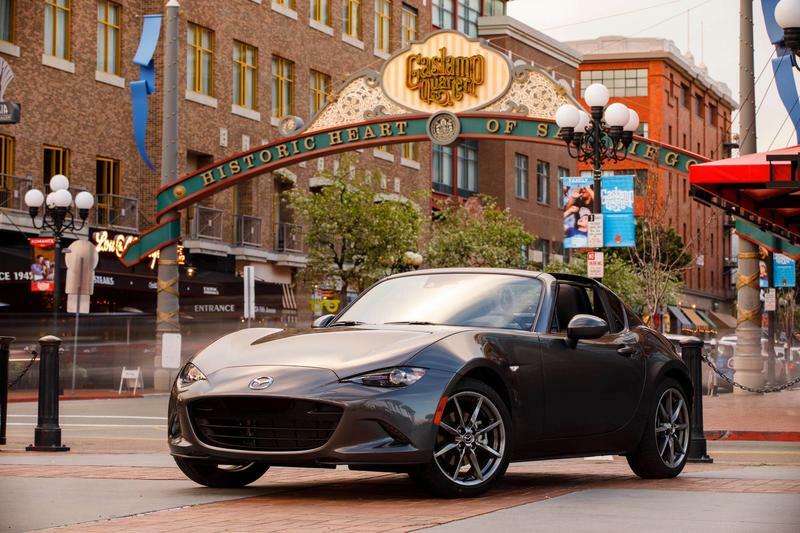 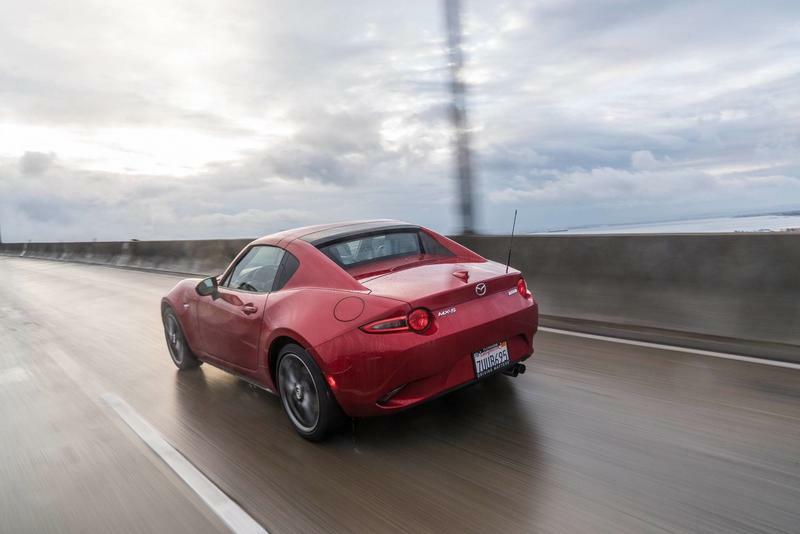 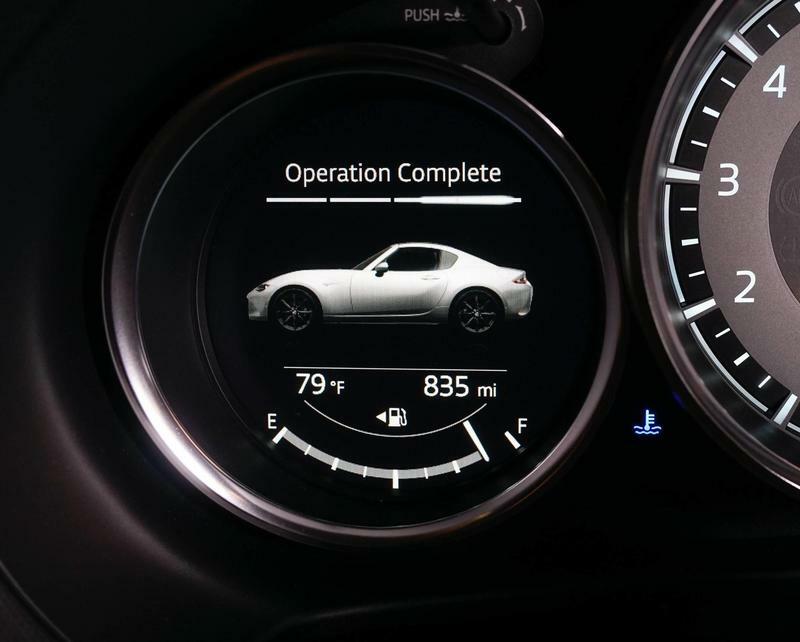 You don't need to fly down the freeway at excessive speeds to find the MX-5 RF enjoyable. 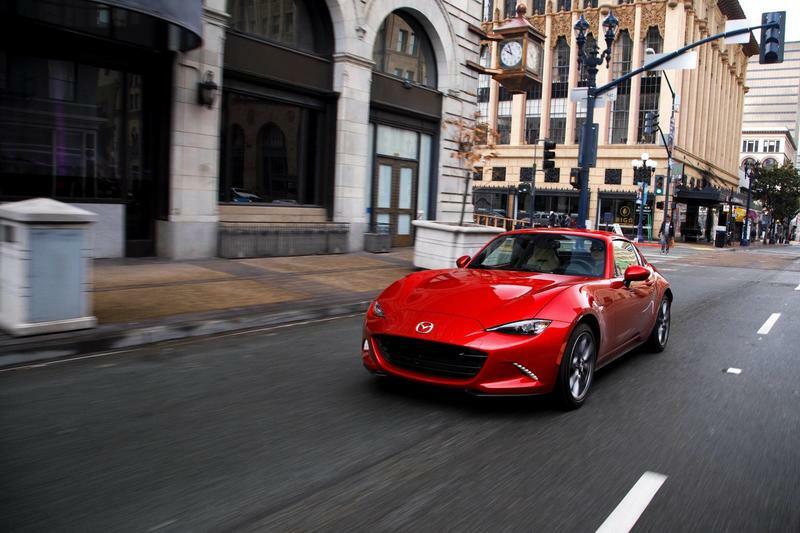 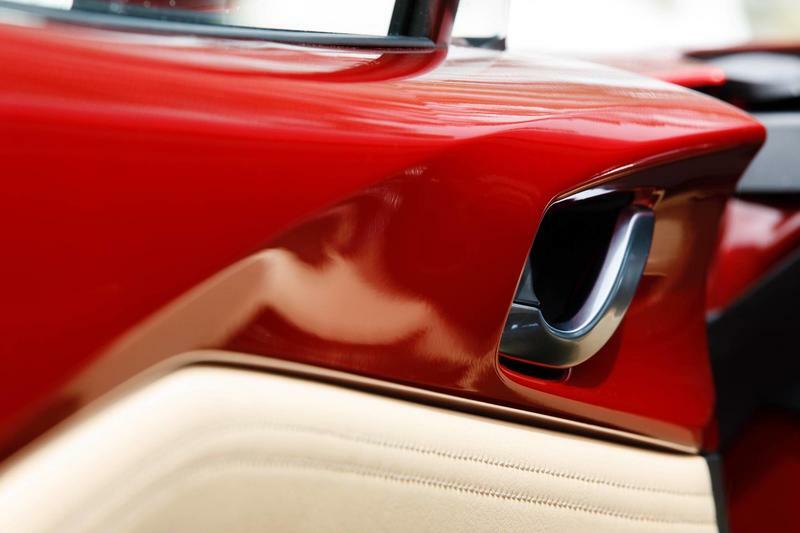 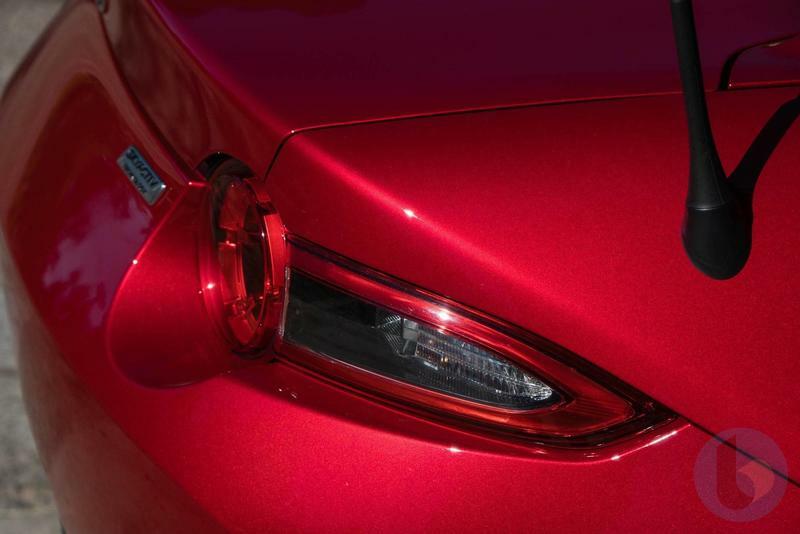 I'll let Mazda describe its vision for the Miata, which is calls the "torchbearer for the Mazda brand." 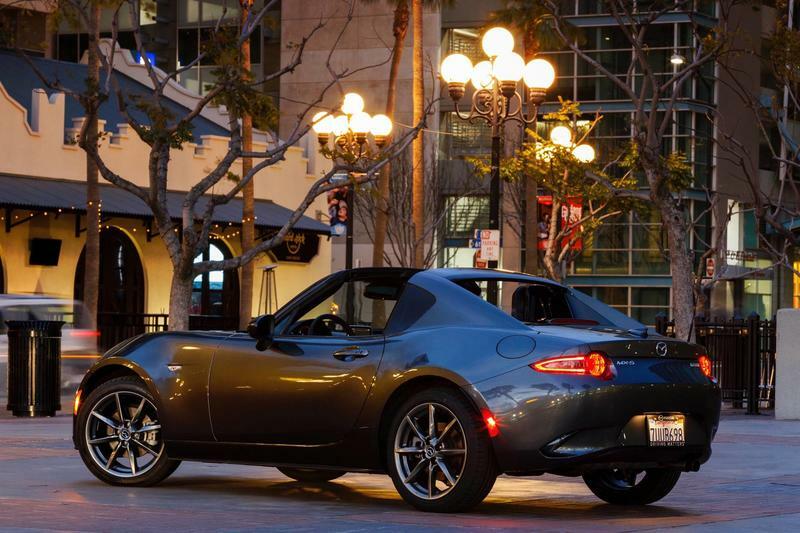 The sense of romance embodied in the MX-5 is exactly why it continues to be the world's best-selling roadster. 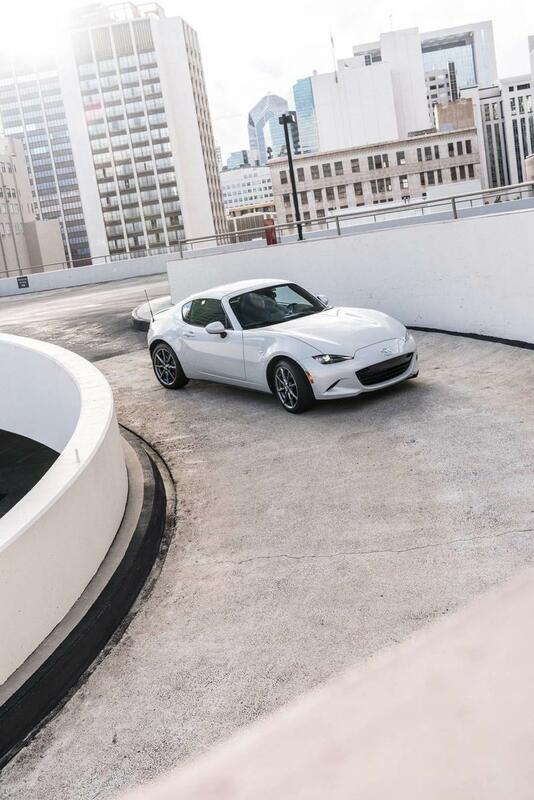 Its agility and poise are why more than 5,000 MX-5s are currently raced throughout the world—more than any other car—and why more than 120 fourth-generation MX-5 Global Cup racecars have already been sold, competing in its one-make Battery Tender Global Mazda MX-5 Cup presented by BFGoodrich Tires racing series as well as the 2017 Pirelli World Challenge with a newly available hardtop that is exclusive to the MX-5 racercars. 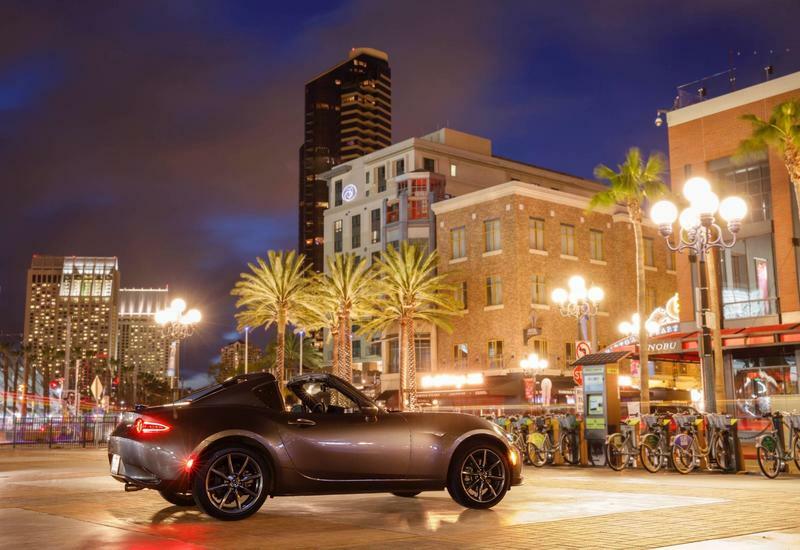 MX-5 has thrived through more than 28 years, adapting as society has changed, yet never betraying its roots. 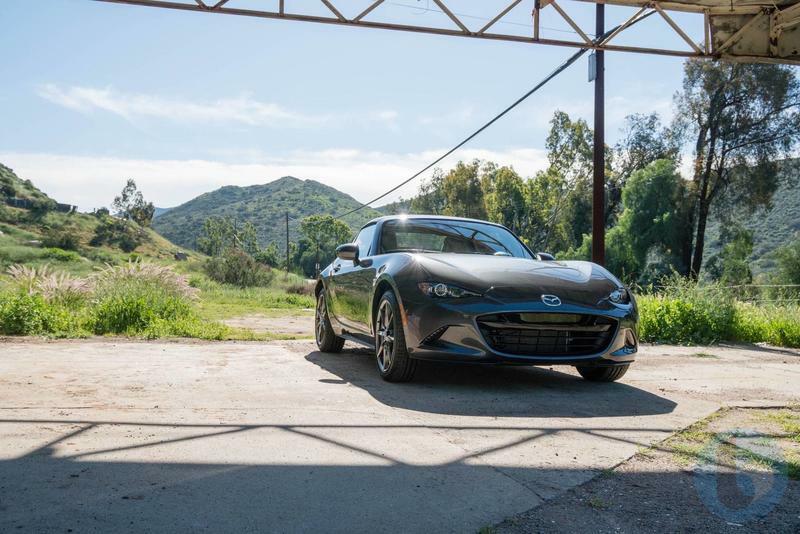 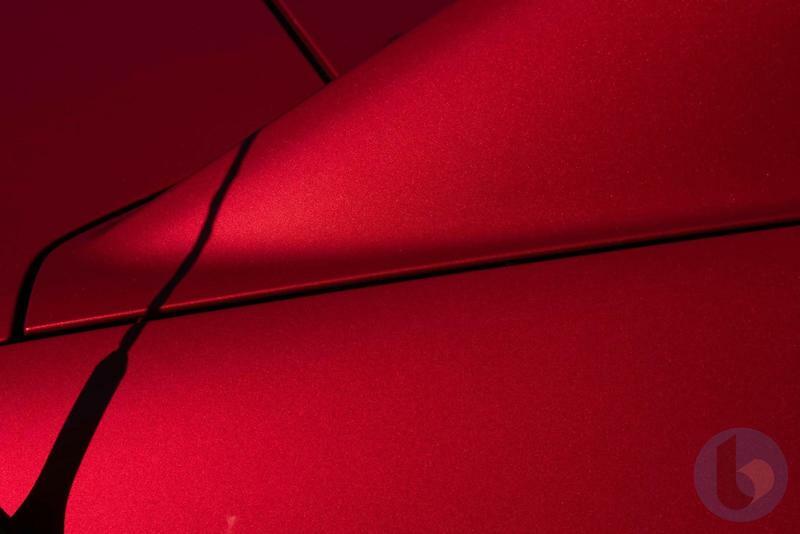 Keeping true to those roots—innovating in order to preserve—is why it will continue holding its place as one of the world's most beloved sports cars, a torchbearer for the Mazda brand and a benchmark for the rest of the automotive industry. 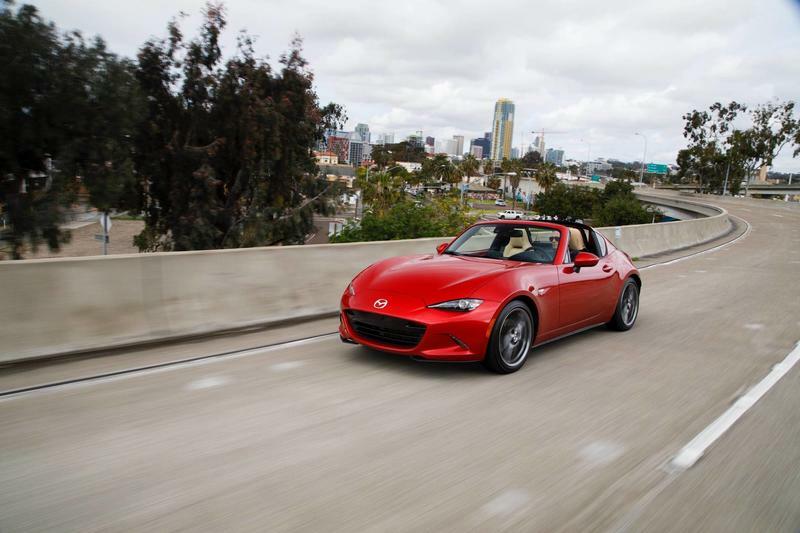 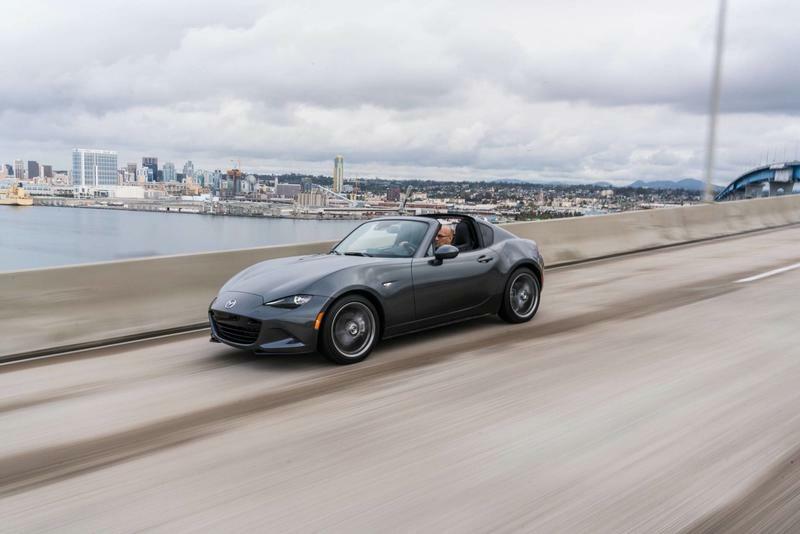 Mazda's passion for the Miata is evident, and it shines through in every facet of the RF, from the design to the way it drives. 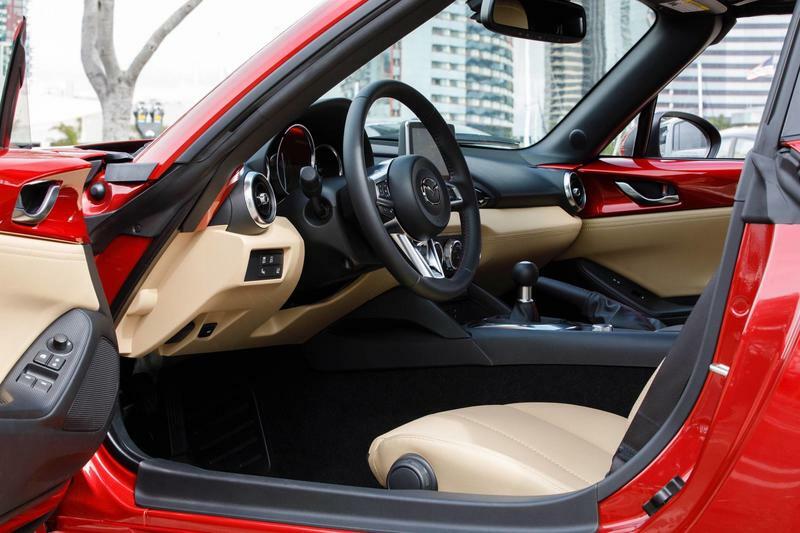 It's interior cabin space is still unpleasant for larger individuals and it's not exactly practical for getting groceries. 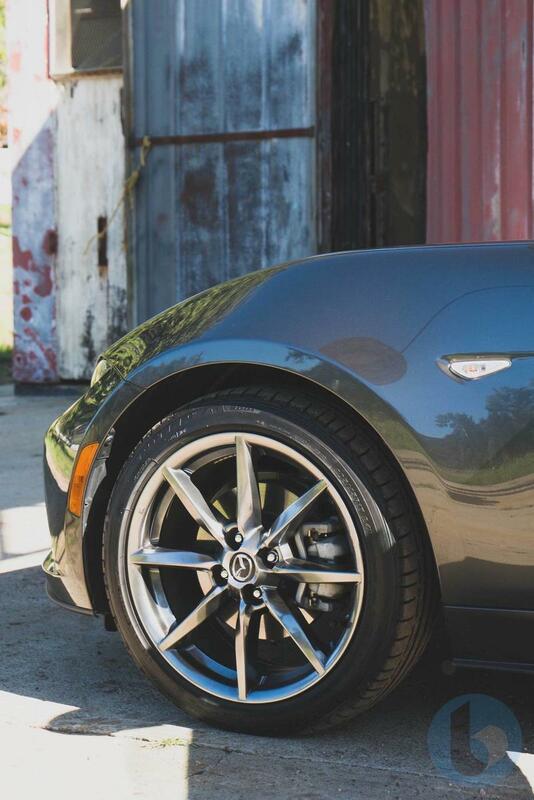 But these issues fade once you're behind the wheel. 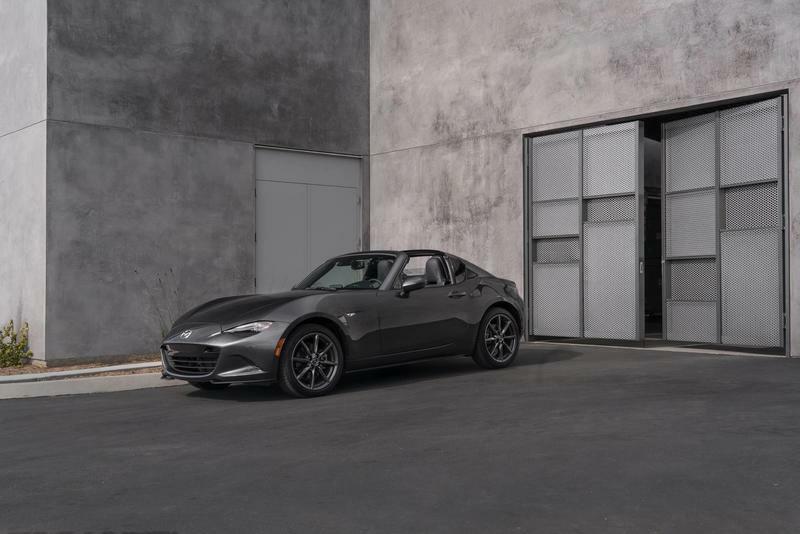 Living in Southern California, I abhor driving, absolutely can't stand it, no matter if I'm behind the wheel of a Chevy Cruze hatchback or Tesla Model S. Thanks to the MX-5 RF, however, I have a renewed love for driving, and can't wait until Mazda comes calling for another test drive.